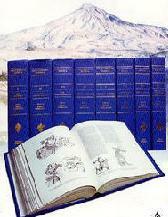 Part One of this volume entitled "Samanid Renaissance and Establishment of Tajik Identity," concluded, among other things, with a statement that, although the fall of the Samanids occurred at the hands of the Turks, pressures from Baghdad and the Buyids had already weakened the dynasty and made it vulnerable. Building on the information already provided about the interactions between the Iranians and the Turks of Central Asia, Part Three examines the role of Russia (1868-1920), and of the Soviet Union (1920-1991) in the continuing conflict between the Turkic and Iranian populations of the region. The section begins with a general view of the Emirate of Bukhara, describing its social mores, administrative organization, and ideological trends. This view is then followed by a relatively detailed history of the Manghit amirs of Bukhara, stressing the role of Russia in the Turkish administration of Tajik territories. Due to the dearth of materials on the Manghits, especially materials that reflect the Tajik view, this subject is given more attention than would otherwise be justifiable. In more recent literature on Central Asia, the achievements of the Soviets have been easily glided over. It is true that Soviet records, especially in relation to the Muslim republics, are not altogether reliable; nevertheless, Soviet contributions to the rebuilding of Tajikistan in the wake of the Basmachi movement are undeniable, especially Soviet achievements in the context of the eleven five-year plans that culminated in the creation of the Regional Productions Complex in southern Tajikistan. Finally, the underlying causes of the 1992-93 Tajik Civil War, a clash between tradition (Islam) and modernism (socialism) will be discussed. It will be shown that, although theoretically the Tajiks' solidarity with their Iranian and Afghan brethren in Islam was a foregone conclusion, in practical terms the union was an oxymoron. The Tajiks' newly acquired Western attitude, their Soviet past, and their special brand of Sunni Islam--Wahhabism--were not compatible with the ideal and aspirations of their Iranian neighbors. That is, at least, what the final verdict of the people was. In 1993, they chose a democratic government; their choice clearly indicated that any reconciliation with the past to achieve future Tajik prosperity must take at least two things into consideration: the needs of the tradition-bound Muslim Tajiks and the aspirations of the Sovietized Tajiks. After the breakup of the Golden Horde, the descendants of Chingiz Khan's eldest son, Jochi, the present-day Kazakhs and Uzbeks, occupied the lands to the north and northeast of the Caspian. After the Kazakhs refused to cooperate with them, in the 16th century, the Uzbeks invaded Transoxiana and occupied it. Over time, they became the uncontested rulers of the region. Upon their arrival, the Uzbeks changed the governmental structure that had existed in Bukhara under the Timurids into the hierarchical modes that distinguished the rules of Batu and Shaiban Khan.2 They also implemented the court organization of the Altin Orda or the Golden Horde, an elaborate system with specific positions for every chief, administrator, and religious figure.3 Based on the yasa of Chingiz Khan, the system was unsympathetic to the needs of the common people; in fact, it ignored them. Actually, the norm was: Those who did not have a standing in the tribe did not have a standing in society. The appellation Uzbek accommodates a number of tribes. From among these tribes the Kinegas and the Manghit tribes competed for the rulership of the Emirate. Eventually, in the 1750's, the Manghits, having undermined the authority of the other Uzbek tribes, including the Kinegas, became the rulers of Bukhara. The Emirate of Bukhara was viewed by the westerners in quite a different light than it was viewed either by the people of Bukhara themselves or by the Muslim communities of the East. To the Westerner, the Emirate was a sleepy, backward nation ruled by tyrants. The state was considered to be immobile and the society only moderately evolving.5 It is not our purpose here to argue the point. Any Bukharan, however, would disagree vehemently with that view, as would those intimately acquainted with life in the noble and holy city of Bukhara. Although not technologically advanced, Bukhara was a center of trade, commodities exchange, and political intrigue. Additionally, the city was the seat of Islam in the East, which means its schools were attended by Muslim students from all over Central Asia. After the addition of Eastern Bukhara, the Kuhistan, and Badakhshan, the Emirate became an even more dynamic, albeit a relatively more oppressive, kingdom. The Capital of the Emirate was the City of Bukhara, located on the Zarafshan River. The city had been known as the center of Islamic learning since the eleventh century. Its ancient history, of course, placed it at a much earlier date than that. 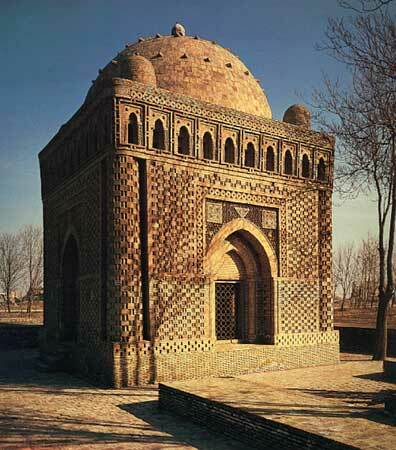 As the seat of Islam in the East, at times, Bukhara rivaled Baghdad itself. Many mosques and madrasahs dotted its landscape and many more students and scholars studied, and carried out research, at its unique educational institutions. The administrative center of Bukhara was the Arg, located in the center of the city. The Arg is a medieval citadel with a Byzantine history of pomp and glory, as well as of cruelty and tyranny. The ruler of the Emirate, usually referred to as the Amir, ruled from the Arg. He resided, however, in other palaces like the Sitara Mah-i Khassa, a wonderful complex of gardens and residential buildings outside Bukhara, or in Karminah, a resort town to the northeast of the capital. These latter buildings were also used for giving parties and receiving foreign, primarily Russian, dignitaries. The population of the Emirate, estimated at about two million,7 was a mix of Tajiks and Turks. The Tajiks, an Indo-European people, were the original inhabitants of the region. As mentioned, during the seventh and eighth centuries, they lost their authority to the Arabs. After the eleventh century, the Turks, displacing the Arabs as rulers, became their overlords. As a result of centuries of interaction, the line between Tajik and Turk, especially in the Samarqand and Bukhara regions, became blurred and, in even more recent times, gave rise to the term "sart." To an astute observer, however, it was obvious that the settled population, mostly in the cities, was primarily Tajik while that of the countryside, especially those living on the steppes, were primarily Turkish. In general, it seems that, contrary to prevalent beliefs--based primarily on the populations of the urban centers--the majority population in the Emirate was Turkish. No serious census exists, however, to substantiate the claim. The Bukharans were almost exclusively Sunnite Muslims of the Hanafi school. Many Isma'ili Shi'ites, Jews, and Hindus also lived in the Emirate.8 The affairs of the Muslim community were under the supervision of the Qazikalan (chief judge) who appointed the muftis (experts on the Shari'a). As we shall see, this social class, which contributed qazis (judges), muftis, ulema (theological scholars), sayyids (descendants of the Prophet), khwajas (descendants of the first three of the Rashidun Caliphs), and mullahs (clerics) was a powerful element, especially when it came to the safeguarding of Islamic traditional values against Russification and, later on, against Sovietization. Language played a dual role in the Emirate. Tajiki was the official language of the kingdom. As the language of administration, it was spoken at the court by the Amir and his mostly Iranian officials. All foreign correspondence, for instance, was in Persian, as were all official decrees to the citizenry. At the same time, being a Turk, and as the leader of Turkish chieftains and tribesmen, the Amir addressed his chiefs of IIs (tribes) and Uluses (appanages) in Turkish. Due to the mixed nature of the population that it ruled, the Manghit State had a dual administration: a Council of Tribal Chiefs, the members of which were drawn from among the chiefs of Ils or Uluses, and a Civil Administration. This latter consisted of the following: Qushbegi, or Prime Minister, who headed the divan of ministers, including the finance minister; the Qazikalan, or Chief Judge, who headed the judicial branch of the government, and who organized the affairs of the clergy, including all lower judges and teachers; and the Mirshab, or Police Chief. Although serving as the head of the police, the Mirshab coordinated the activities of the thieves and cut throats with the requirements of the administration and the Amir. A very delicate task and a very burdensome position. Bukhara's economy was based on agriculture and live-stock breeding. In this context, all land and water belonged to the Amir, who usually parceled them out to his high officials for cultivation. These portions of land and water, usually given as gifts to chieftains, were further divided and given as gifts to the lower echelon. As the last member of a chain, the farmer was assigned a piece of land and an appropriate amount of water. He was required to till, irrigate, and bring that land to fruition. The harvest was divided anywhere between five to eight portions, taking into account the contributions made by either side. The Amir, for instance, provided the land, water, seed, equipment, and draught animals. At harvest time, he received a portion for each contribution. The farmer, on the other hand, received one portion for labor, on which he paid an income tax. Similarly, the Amir portioned out his animals and pasturelands among his tribal chiefs to be cared for. Known as amanat, the system worked very much like the one for land. The Amir contributed the animals, pasture, and shelter. The tribesman contributed his own labor, as well as the labor of his family. At the end of the year, the Amir took back the original animals and all the offspring. The herdsman received the milk and the wool, on which he paid an income tax. It should be mentioned that neither system was as simple as it sounds. Both systems had variants, and both involved the contributions of the chieftains, officials, tax collectors, and others. To indicate the depth and breadth of the system, it is sufficient to point out that, out of these simple transactions, an elaborate social, political, and military order emerged to provide security and accountability. As we shall see, the reliability of the system proved to be pivotal to the development and, indeed, viability of the increasingly modern state. The level of education of the Emirate was very low. In fact, education was a low priority. Only the sons of the Amirs and the courtiers were allowed to receive an education. The educational system included two types of schools known as the maktab, or elementary education, and the madrasah, or the school of theology. At the maktab, the Arabic language and the fundamentals of Islam were taught. At the madrasah, higher levels of Islamics, including the Qur'an, ahadith, commentaries, beliefs, rituals, and practices were instructed. Subjects such as mathematics, physics, and chemistry were not included. After some eighteen years of attending school, the graduates of the madrasahs were assigned by the Qazikalan, with the approval of the Amir, to teaching positions at the schools of Bukhara. Finally, the organization of the military, during the periods that the Emirate enjoyed such a luxury, was very poor, especially compared to Russia. The Amir commanded warriors, who still carried swords into wars in which the enemy used rifles and cannons. Below the commander in chief were the chiefs of the tribes and high-ranking administrators. The tribal chiefs usually gathered the young men of the tribe (usually the oldest boy in each family) and led them to battle. Similarly, the high-ranking administrators gathered the sons of the landlords and farmers and led them into battle. There was no formal training. In special situations, the Amir and the Qazikalan jointly issued a fatwa for jihad. In that case, all males were mobilized and were led by the Amir to fight the infidels. The 1868 confrontation between Amir Muzaffar and Russia is a prime example of the ineffectiveness of such an army. The political dynamics of Bukhara rested on land tenure and water rights. The Amir, the clergy headed by the Qazikalan, and the tribal chiefs all drew on the same land and water for power and authority. The Amir, of course, as the chief administrator, owned all the land and the people who worked the land. He could tax the people any way he wished and could use them in his military. That, however, was an Islamic ideal. According to the same ideological framework, the Qazikalan exerted a similar degree of authority over the faithful. With Allah as the source of his authority, he could oblige them to pay their taxes to him and work on the waqf lands. The third source of authority, albeit limited, belonged to the chieftains. Drawing on the land, the water, and the loyalty of the people assigned to them, the chiefs exerted a great deal of influence. For instance, they levied their own taxes, formed their own armies, and whenever feasible, sought independence. Another set of complex issues that commanded attention was related to the interactions among the settled and tribal aristocracies, the religious hierarchy, the military, the Sufi schools, and the foreign elements in the Emirate. The most heated debates, however, were the interactions over authority among the Amir, the chieftains, the chief judge, and the intellectuals. As we shall see, at the end, the intellectuals played a most crucial role in deciding the fate of the Emirate. Life in Bukhara was disrupted twice, each disruption leaving its own distinct mark on the history of the Emirate, weakening it in a particular manner. Due to the importance of these watersheds in Bukharan history, in what follows, an attempt will be made to relate other major developments in the Emirate to these two main events, sketching a brief history of the Emirate as it evolves from a predominantly rural medieval kingdom into an increasingly urban society on the verge of modernization. Why did Amir Nasrullah attempt to centralize Bukharan rule? Ninety percent of the population of the Emirate of Bukhara was involved in agriculture. This means that three elements, land, water, and the peasants who worked with them, formed the core of the society's economic output. Traditionally, all land and water belonged to the state and the Amir was the sole distributor of land and, thereby, of power. Before the 1850's, as mentioned, the Amirs bestowed gifts of land to the Uzbek chieftains (other than the Manghits) in appreciation of their contributions to the well-being of the state. Every parcel of land, along with its water rights and peasants, was assigned to a chief. As owner of the land and its people, the chief could treat his subjects in any way he wished. He could tax them exorbitantly, as many did, and he could confiscate their beautiful daughters for his harem. He further had the right to use their sons as attendants in his household, or as officials and infantrymen in his army. Between 1750's and 1850's, enjoying the wealth, authority, and the power that such indirect autonomy placed at their disposal, a number of Uzbek chieftains, especially three of the Kinegas tribes, became wealthy and, increasingly, unruly. This to the point that, by the 1850's their power had to be curtailed before the Manghit Emirate disintegrated into small fiefdoms ruled by Uzbek chieftains other than the Manghits. Amir Nasrullah and his advisors, as expected, stemmed the tide of the proliferation of authority by depriving the Uzbek chiefs of their traditional sources of authority. He withdrew the chiefs' authority over the people in their fiefdoms and, instead, offered the youth a place in his own military in the capital or in one of the provincial centers. Before long, the ranks of the Amir's army swelled. In fact, his was the first standing army that the Manghit rulers had ever enjoyed. Nasrullah then used this army against the Afghans and the rebellious tribes on the fringes of the Emirate. The threat of disintegration was averted. Centralization necessarily meant dislocation of the peasants, especially the youth. Rather than working on the land, they came to Bukhara and to other towns either to join the army or to find jobs in the growing industrial centers. Many who came to the urban centers for a short time, to attend school, for instance, stayed, and were absorbed in the life of the cities and towns. The more enterprising individuals went into business for themselves and opened stores. They even employed others who shared their ideals and aspirations. They became involved in local and international trade and promoted the arts and crafts of the region. Those who joined the schools became judges, teachers, administrators, and army commanders. For some, life in the village became a dream to which they did not wish to return. The second watershed came about as a result of Amir Muzaffar's overestimation of the strength of the army that his father had left him. According to Aini, he felt that the army of Russia was slightly more powerful than the army of Quqand that he had already defeated. But, his army not only could not prevent the Russian army's advance; it was routed and, subsequently, cooperated with the Russian forces in the region. It was the combined forces of Russia and the Amirs, for instance, that conquered the Kuhistan. The loss of control over its foreign affairs, economics, and military was not the only setback for Bukhara. Russia's determination to Russify Central Asia was even more disturbing to the Amirs. In its effort to bring Central Asia, Bukhara in particular, out of the Middle Ages, Russia prepared the ground for modernization of education, introduced printing presses and, gradually, made newspapers, magazines, and journals available to an increasingly educated populace. Along the same line labor, both in industry and agriculture, was systematized. Educated, enterprising, and daring, this new generation of Bukharans accepted the fact that, in spite of its dynamism, Bukhara was backward and needed to be pulled out of its medieval mold. It also accepted the responsibility of seeing to it that Bukhara was reformed with the Amir's help, or despite it. This delicate balance is discussed further below in the context of the lives of Amirs Abdulahad and Alim Khan. By 1917, the Bukharans, especially the intellectuals (mostly jadids, merchants, and progressive classes were ready to join the Russian Empire. Caught in the whirlwind of Sovietization, however, they were absorbed by Soviet society and the Red Army. The history of the Manghits begins with the rule of Abulfaizkhan, the last Ashtarkhanid ruler of Bukhara (1711-1747). Several events contributed to the fall of Abulfaizkhan and the rise of the tribal chief Hakimbii Atalik ibn Khudayar. First, in 1740, Nadir Shah of Iran occupied Bukhara, but allowed Abulfaizkhan to continue as the nominal ruler--the real ruler of the Emirate was Hakimbii Atalik, a pro-Iranian Manghit chieftain; second, following the loss of central power, Samarqand became more or less independent; and third, in the Ferghana Valley, Quqand broke away and became an independent Khanate. On the positive side, Abulfaizkhan was the first Central Asian ruler to attract the attention of the Tsar of Russia and receive a Russian envoy.11 This envoy was Florio Beneveni whose dates of birth and death are unknown, but who was Peter I's personal envoy to Bukhara.12 Unfortunately, Abulfaizkhan's rule did not last long enough to either cultivate relations or to take advantage of the opportunity. Known as Rahimkhan, Muhammad Rahimbii, the eponymous ancestor of the Manghits of Bukhara, was the son of Hakim Atalik ibn Khudayar, the influential figure at the court of Abulfaizkhan, the last Ashtarkhanid Mongol king of Bukhara. Invited by Abulfaizkhan, Nadir Shah Afshar, after his Indian campaigns, paid a visit to Bukhara. Upon his departure for Iran, as was customary, he took some 12,000 tribesmen from around Bukhara with him and relocated them in the region of Meshed. Intending to rid himself of Rahimbii, Hakim Atalik's son, Abulfaizkhan, prompted Nadir Shah to take Rahimbii to Iran as well. Nadir Shah accepted and made Rahimbii a commander in the Iranian army. Rahimbii proved to be a useful tool for Nadir Shah, especially when Ibadullabii led a Chinese army to Bukhara and devastated the region. Rahimbii, accompanied with a host of Qizilbash, was dispatched to Bukhara immediately. He fought Ibadullabii successfully. Ibadullabii fled to Tashkent and a victorious Rahimbii entered Bukhara. In subsequent years, Rahimbii murdered Abulfaizkhan (1746) and became the vice-regent of Bukhara, propping up Abulfaizkhan's six-year-old son. Within the next seven years, Rahimbii killed both this boy and the boy's brother who succeeded him and, in 1753, had the khutba read in his own name, struck coins, and pronounced himself Rahimkhan, the first king of the Manghit dynasty. As king, Rahimbii invaded Hissar-i Shadman, captured it, and appointed Danial Atalik its governor. This act de facto brought the Western Kuhistan region within the purview of Bukharan rule as well. Rahimbii then invaded Samarqand, captured it, and appointed his own brother, Baratsultan, its governor. From there he attacked Shahr-i Sabz, captured it, and put it under the rulership of Imamqulibii Kaikchi. He also captured Qarshi, Urgut, Jizzakh, Urateppe, Khujand, Tashkent, and Qabadian before he returned to Bukhara. In sum, he established the foundation of the Emirate of Bukhara. Deemed to have been a brave, courageous, and generous man, Rahimkhan was also an experienced veteran, an astute student of human nature, and one prompt in taking drastic measures. He ruled for 12 years, seven years of which he ruled on behalf of Abdulmu'min (1747-1751) and Ubaidullah II (1751-1753), the young sons of Abulfaizkhan. After Rahimkhan's death, in 1758, his only heir, the six-year-old son of his daughter,13 ascended the throne. Upon Rahimkhan's death, Danial Atalik, the governor of Hissar and Western Kuhistan, moved to Bukhara as the guardian of Faziltura, Rahimkhan's grandson from his only daughter. Before settling down in Bukhara, however, Danial Atalik quelled several insurrections in Urateppe, Hissar-i Shadman, Karminah, and Nur Ata. When the victorious Danial Atalik arrived in Bukhara, however, Faziltura and his father denied him entrance to the city. Danial Atalik, therefore, entered the city by force and, as a first order of business, sent Faziltura and the entire royal family to exile in Qarshi. In Faziltura's stead, Danial Atalik installed Abulqazikhan (1758-1785), a simple peasant descendant of Abulfazlkhan. As for Danial Atalik, although known as the Great Amir, he continued his role as the vice-regent to the end of his life. Amir Danial ruled for 27 years, all of it on behalf of Faziltura and Abulqazikhan.15 He died in 1785. As the first true Manghit ruler, Shah Murad had two major problems to resolve. The first was a regional problem: What to do with the Uzbek rivals of the Manghits? Should they be shorn of their wealth and power or should they be treated with magnanimity and tact? Shah Murad used the latter method. As mentioned, he awarded the Uzbek chieftains land and property and made them responsible for the well-being of the peasantry. He then moved the unruly Uzbeks of the Merv region closer to the center of Bukhara so that he could monitor their activities personally. These acts introduced a measure of tranquillity into Bukhara,24 at least for the time being. As we have seen, the precedent that Shah Murad set with respect to the Uzbek chieftains who did not belong to the Manghit tribe, played a significant role in shaping the Manghit state. It affected the dynamics of power in the Emirate, allowing non-Manghit power to grow at the expense of the supremacy of the Manghits. Upon Shah Murad's death, crown prince Haidar Tura, the governor of Qarshi, came to Bukhara and assumed rulership. Amir Haidar (Tura) was the first Manghit ruler to use the titles of amir and sayyid. A graduate of the Qarshi and Bukhara schools, Amir Haidar was fully aware of the power of the divisive forces that tore Bukhara apart. Thus, unlike his father who had controlled these forces by advancing the welfare of the people against the greed of the ulema, he embroiled the kingdom into war so that, early in his rule, his own sons along with the governors of Samarqand, Ferghana, Karminah, and Shahr-i Sabz revolted. Unable to deal with the situation, most of the regions that had been added by Danial Atalik were lost to Quqand, Khiva, and other Central Asian powers. Haidar's main opposition, however, was the Uzbek confederation in the south and southwest (Shahr-i Sabz and Kitab, all the way to Murghab). The Kinegas chieftains who rivaled the Manghits for legitimacy and who wished to rule the settled regions east of the Amu River, made Haidar's life difficult. Amir Haidar's rule is pivotal for understanding the causes of the backwardness of the Emirate of Bukhara. The intellectual depth, or lack thereof, and the exemplary brutality of the Amir were only two of the causes. The other causes included economic poverty, limitless desire, and endless greed in this and subsequent Amirs. Unlike his father who trusted the well-being of Bukhara to a select group of pious and honest mullahs, Amir Haidar returned to the status quo anti and reestablished the oppression that the public had suffered at the hand of the clergy under Danial Atalik. In fact, he made an alliance with the clergy according to which waqf lands, which included schools and the lodgings therein, could be bought and sold. The mullahs were the first beneficiary of their own anti-Shari'a fatwa s. But the real winner, or loser, depending on one's point of view, was the Amir himself. Amir Haidar, using education as a source of fame and fortune for himself, put forth a proposition to the ulema to the effect that anyone should be able to purchase waqf lands. He intended to empower himself to purchase lodgings in the schools and rent them out. His plan also included the building of new schools and hiring of teachers who would boost the enrollments. Not to mention his own teaching in classes of up to 500 students and a schedule which included nine hours of instruction per day. Amir Haidar's early years as a ruler were spent on recapturing his lost kingdom and, after the erosion was arrested, on the consolidation of his rule. The latter part was spent on "promotion" of education, building of madrasahs, and devising new methods for raising more and more funds. No matter how history judges Amir Haidar's devotion to education, his people seem to have appreciated it. Otherwise, why would they shower him with such titles as "learned, generous, and just"?32 Amir Haidar died in 1826. Rather than to Nasrullah, Mir Hussein passed the scepter to his other brother, Mir Umar, the governor of Karminah. Fond of parties and orgies, Mir Umar was constantly either drunk or unconscious. He had been in office for only four months before Nasrullah's troops arrived from Qarshi and surrounded the Arg. Mir Umar was whisked away, clothed in a paranjah. Thus exiled, Mir Umar died as an unknown near Bukhara.34 The rules of Mir Hussein and Mir Umar occurred in the same year that their father, Amir Haidar, died (1826). Assisted by Qushbegi Hakimbii, his staunch supporter, Amir Nasrullah ascended the throne in 1826. To secure his rule, he killed his own other three brothers--Zubairkhan, Hamzakhan, and Safarkhan--along with their wives and children.35 During the years that followed, he either eliminated or displaced all the influential figures who had enjoyed high places at the court of Amir Haidar. Furthermore, he confiscated the property of these victims and added it all to the treasury of the Amir. The Bek of Maschah was one such victim, and the governor of Urateppe was another. The former was eliminated in 1842, the latter in 1958. In order to expand his domain, Amir Nasrullah fought many battles against the Bek of Shahr-i Sabz--32 attacks in 20 years--and the Khan of Khiva. And in all those cases, he was as ruthless towards the independence-seeking Amirs as he was towards his own family and subjects. For instance, when the khan of Quqand, Muhammadalikhan, was defeated, he, his brother, Sultan Mahmud, and his mother, the poetess Nadira, were summarily executed. The Manghit rulers were not born into Islam. As explained, they "inherited" it from their grandmother. Being distant from the true faith, they lacked a thorough understanding of the Shari'a and the role that it played in the everyday life of the faithful. This lack is most prominently visible in the way Amir Nasrullah and his court and clergy exploited the poor of Bukhara. The Amir could secure a fatwa for almost anything he desired. The effect of the fatwa of the ulema regarding the purchase and sale of the madrasahs affected the recruitment of worthy students the most. The quality of education provided by the new, competitive institutions, owned by the clergy and the Amir, was poor. Besides, talented but poor students were deprived of receiving any education. The Amir also extracted fatwa s from the clergy to wage an unending war against the poor and confiscate their property, wives, and children. Amir Nasrullah's 32 attacks on Shahr-i Sabz and the atrocities he committed in Quqand are examples of the harm that the unholy alliance between the clergy and the Amir inflicted on Bukharan society. Another sorry casualty of the alliance between the government and the religious hierarchy was the library system of Bukhara, which was heir to centuries of manuscript collection. Each of the twenty libraries attached to the madrasahs specialized in a different branch of science. The "Dar al-Shifa" Library, for instance, held almost all the manuscripts on medicine. The city of Bukhara spent large sums from the waqf funds for copying manuscripts and repairing torn books. The "Gavkushan" Library alone spent over 15,000 sums36 annually for these purposes. Amir Nasrullah's policies undermined the authority of the custodians of the libraries and his withdrawal of funds stopped all repairs and canceled all new purchase orders. In addition, Rahmanberdi, the Ra'is of Bukhara at the time, divided the manuscripts among the influential ulema and transferred some into a vault for the personal use of the Amir. The books in the vault, due to a lack of use and fresh air, became moldy and had to be discarded. The books given to the ulema, after many years of confinement in private libraries, were sold to European book collectors and dealers. The library buildings were remodeled for other uses by the sons of the khans and bais. When Amir Nasrullah ascended the throne in 1826, the Emirate was a divided kingdom. Using the revenues from the gifts of land granted by the amirs and the manpower generated by families that were tied to the land, Uzbek chieftains had built what amounted to small fiefdoms for themselves. Although they contributed to the well-being of the State, such as participating in wars against the Afghans or against tribes that were detrimental to their own well-being, in general, they acted as independent chieftains, often with designs to overthrow the Amir. Advised by his Tajik and Arab advisors, Amir Nasrullah undermined the economic and military abilities of the Uzbek chiefs. Rather than awarding gifts of land with families attached, he awarded gifts of land only. As for the youth, who used to form the army of the chieftains, he included them in his own newly established army. Using his army, he then eliminated the remnants of the power of the chiefs. The Bukhara of the 1850's, therefore, was a different country than that of the early 1820's, when Nasrullah ascended the throne. It was a less agricultural, more urban and, overall, a less unified land. Its agricultural output was less because many of the workers had moved to the towns or joined the military. The urban centers were poor, unsanitary, and crowded and the steppe people were divided and dissatisfied--problem that will plague Muzaffar, Nasrullah's son, in the 1860's. In general, Amir Nasrullah was not much liked by his countrymen. They characterized him as a "cruel and bloodthirsty Amir who took nothing and no one into account. "38 Neither was he a perceptive ruler who was aware of the political dynamics of his region or, for that matter, of the world of his time. For instance, during Amir Nasrullah's rule, a growing rivalry emerged between the two superpowers of the time, Britain and Russia, in Central Asia. After crossing the Orenburg border, the Russians sent ambassadors to Nasrullah's court to foster political relations. Similarly the British, having entered Afghanistan with the intention of blocking Russia's movement in the direction of India, sent ambassadors to Nasrullah's court to foster political relations. Rather than using this golden opportunity to promote the region as a whole, Nasrullah engaged his neighbors in petty squabbles. As for the ambassadors, he either killed them or held them hostage.39 Only towards the end of his rule, i.e., 1857, did he send an embassy to Russia to assess the military might of the country, as well as to examine the possibility of establishing commercial relations. But even that embassy failed to either establish relations with Russia or, at least, provide a realistic measure of the military might of the Russian Empire. Amir Nasrullah died in 1860. He was succeeded by his son, Muzaffar. Amir Muzaffar was born in 1824 or 1825. At the time of Amir Nasrullah's death, he was the governor of Karminah. The major event during the time of Amir Muzaffar was Russia's advance into Central Asia. Uninformed about the might of Russia, Amir Muzaffar refused to enter negotiations with the Russians on the question of the partition of Quqand. The partition, the Amir felt, was a Bukharan concern rather than a Russian concern. Besides, he felt that, with his army, he could vanquish Quqand and bring it within the fold without assistance. In fact, with that army, although only slightly larger than his father's four-thousand-man army, Amir Muzaffar thought he could route the Russian army itself.41 Disregarding the Amir's refusal, the Russians continued their march at their own pace and captured the areas south and west of Tashkent. Then, they entered Tashkent and remained there. Fearful of losing Samarqand, Muzaffar attempted to check the movement of the Russian troops. He could not. In fact, his miscalculations brought him two humiliating defeats. The first defeat, which occurred in 1866 at Irjar, forced him to yield the cities of Khujand and Urateppe, in present-day northern Tajikistan, to the Russians. The second defeat occurred at Zirabulaq where Muzaffar tried to check the Russian advance that had already occupied Samarqand. Russia monitored the instability that resulted from the humiliation of the Amir carefully. In the south, the Amir's son, Abdulmalik Tura, rose and captured Qarshi.46 In this, he was aided by the khans of the Manghit tribe, the very tribe on which Amir Muzaffar hoped to draw to defeat his son. In the north, two Kazakh princes, who had been allowed to enter Bukhara and who had been given administrative positions, rose against the Amir. Calling themselves the true descendants of Chingiz Khan and the rightful claimants to the throne of Bukhara, they captured Karminah. Even though during the signing of the 1868 treaty, Amir Muzaffar had insisted that Russian troops should not be allowed south of the occupied territories, he now asked for Russian military assistance. "Friendship with Russia," Amir Muzaffar's letter read in part, "has created the present disturbances. The Russian army can easily put an end to them." The Russians responded quickly by sending 10,000 soldiers and ten cannons. Strengthened by the Russian aid and helped by General Abramov, Muzaffar attacked Qarshi, overwhelmed Tura's forces, and returned the region to Bukhara. By 1870, the principalities of Kulab and Baljuan were also included in the Emirate of Bukhara, and governors (beks) were dispatched there to see to the collection of taxes. The inclusion of Baljuan, and later Darvaz, is significant in that these regions, inhabited by Tajiks, had never before been associated either with Turkish rule or with Russian administrative practices. In that sense, their inclusion into the Emirate opened a new phase in the history of the Emirate itself. Recall that Amir Nasrullah demoted the Uzbek chieftains, replacing them with Iranian officials. This demotion created an enmity between the Uzbeks (read Turks) and the Tajiks (read Iranians) and, in general, weakened the power of the Turks, making them vulnerable. To a degree, it was on this division and vulnerability that Russia drew to control the Manghits.48 This hierarchy is important as the Uzbeks would weaken the Manghits who, to stay on the good side of Russia, would do their best in collecting taxes from the Tajiks. Needless to say that, in time, the Turks, too, would struggle to eliminate their Russian overlords and absorb their Tajik enemy into their own social, cultural, and political melting pot. Recall that Amir Nasrullah's efforts at creating an army and arresting the tide of disintegration resulted in the creation of a less rural, more urban and, altogether a more enlightened society. The arrival of Russian officers, administrators, and consultants accelerated the move so that by the end of Amir Muzaffar's rule, the society was unevenly divided. On the one hand, there were intellectuals who sought new-method schools, western-style institutions, and access to news about the activities of government officials. On the other hand, there were individuals who, following the decrees of the ulema, opposed anything that smacked of modernism or westernization. Amir Muzaffar's legacy for his son, therefore, was a divided society in which the social division outlined above was emerging as a perennial ideological conflict. As we shall see, this conflict served the increasingly dominating Russian Empire very well. It enabled the Russians to implement reforms that would reshape Central Asian society to meet the needs of their future exploitative designs. Before Amir Muzaffar's ignominious defeats, the Turks had pushed the Tajiks as far south, and as far into the mountains, as possible. The territory the Tajiks held was not useful to the by-then semi-sedentary Turks. In Eastern Bukhara, therefore, the Tajiks resolved their problems their own way. The region, divided into villayats, was ruled by independent Tajik governors cognizant of the needs of their people. This, however, did not mean that life was easy or that corruption and oppression did not exist. They did; but life, structured by their forefathers, had a special rhythm, a Tajik rhythm, that soothed them and made living in the most inhospitable place on the face of the earth possible. As mentioned, at the time, Eastern Bukhara did not have any legal structures in the modern sense. Disputes were resolved by the elders in the community with the help of the Shari'a. Community problems were resolved by communal contribution of labor. Under the Shari'a, the line between the khwajas, merchants, bankers, and farmers was blurred. They respected each other, and performed mutual tasks for each other, according to their abilities. Russia's interest in the region, however, dictated a different approach. It was not so much the land--the Russians were as disinterested in the Kuhistan, as far as land was concerned, as the Turks--but economic and strategic interests. To govern the region, a new administrative line, under the supervision of beks, was introduced into Eastern Bukhara. The bek was accompanied by a large number of administrators, all of whom had to be paid, housed, and fed by the peasantry. In addition, a tax system was introduced according to which each farmer had to pay a certain percentage of his income to the government of the Amir who would, in turn, pay the war indemnity imposed on Bukhara by Russia, along with appropriate gifts. In the middle of the nineteenth century, before the coming of the Turks, the people of the Kuhistan were predominantly Tajik farmers. In this, they differed from the populations of Samarqand, Bukhara, and Khujand, who were mostly urbanized Tajiks, Uzbeks, or a mixture of the two (sarts). There were some Uzbek tribes, primarily the Laqai, in the Kuhistan region, but they had very little social contact with the Tajiks. Consequently, the governors and the local administrators of the region, too, were Tajiks. Thus, oppressive as life often was for the peasant, the oppression was from people they cared for as ethnic kinfolk; in fact, they took pride in serving their local leaders. At the time, Eastern Bukhara consisted of many small villages centered on the river valleys of the Qarategin and the Hazrat-i Shah ranges. This latter included the Babataq and the Aqtai mountains. The villages were run by the aksakal system--a system whereby the elders' words and the dictates of the Shari'a law set the tone for resolving disputes. Rarely did quarrels reach a level where interference from the outside was necessary. Indeed, they avoided creating the need because they knew very well that their independence rested entirely on self-sufficiency. Furthermore, aware of the dynamics of the area, they knew that, without an ability to present a collective defense, they would be easily absorbed in the growing Central Asian Turkic melting pot. Thus, to maintain the strength of the community and to improve the lives of the less fortunate, they paid their zakat readily. The new administrators, who appeared in the Kuhistan in the wake of Amir Muzaffar's victory over the local Tajik rulers were Turks. Guided and helped by St. Petersburg, the government of Bukhara established a strong presence in the Kuhistan and took the affairs of Eastern Bukhara into its own hands. That meant the introduction of a new cadre of Turkish administrators and the gradual replacement of the local Tajik governors. The main purpose for the creation of a system of administration was for the collection of taxes. For this purpose the region was divided into the following Bekdoms: Baisun, Dinau, Hissar, Kulab, Qurqanteppe, Baljuan, Qarategin, and Darvaz. The beks, appointed by the Amir, had full authority. Only in the matter of taxes did authority rest with the Amir. Even then, ultimate authority rested with St. Petersburg. The tribute was collected by an army of collectors who turned it over to the next level, a smaller army of managers. Each collector had a quota to fill. He also had to present the official for whom he worked with a reasonable gift. Since he was not a paid government official, he added his own surcharge to the amount of the tax quota. The next levels, too, had to fill quotas. They, too, squeezed as much as they could out of the collectors at the levels beneath them. At the end, all the tributes and gifts, for each region, were gathered at the office of the bek. He then deposited his allotted amount to the treasury at Bukhara. He also sent a number of predetermined gifts to the Amir.56 In other words, the population of Eastern Bukhara, which had been familiar with a simple system of government, suddenly found itself facing an array of new offices, a large number of Turkish officials, and a slate of taxes covering land and water use, as well as almost every possible type of transaction, travel, and ownership. After surveying the region for tax assessment and administration of labor for more efficiency, it was decided to retain the aksakal system as a link between the people at large and the mullahs. The latter communicated the new laws to the people and made them understand their religious and social significance. The authority of the aksakals, however, was to be diminished. Rather than making decisions on the spot, as they had done in the past, they were directed to consult with an amin (if finances were involved), or with an arbab. As the direct executors of the orders of the amaldar, these officials were better equipped for understanding the needs of the time, and the new solutions. Each aksakal administered ten to fifteen villages, the affairs of which rarely needed the interference of the arbabs. But, if a dispute was of high order, it could involve not only the amaldar, the owner of a number of villages, but the mir, or bek, as well. As we shall see below, in relation to the Vosse uprising, a coalition of beks was sufficient to defeat any insurrection, no matter how strong and united a front it could project. The Amir usually appeared at the very end to observe the punishment of the rebel leader. According to the system, therefore, Baljuan was the Bekdom and Pushing was an area within it. The villages within Pushing were given to an amaldar who, in turn, administered them through his appointed arbabs and aksakals. Set up primarily for collecting taxes, the process made the jobs of the amaldars and the amins both profitable and important and, in the case of the amin, maybe a little dangerous. The word tribute is used advisedly because each one of these officials could collect as much as they could from individual peasants, but they had only a set amount to pay the treasury at the end of the year. Except for the gift that each was required to give to the person above in rank, the rest of the money collected stayed with the amin, the amaldar, or the mir, as the case may be. This arrangement was profitable for the Amir as well, because he did not have to pay his officials any salary, neither did he have any real expenses, such as for building roads and schools. The tax money, therefore, was used variously as investment, for trips abroad, or for lavish parties that lasted up to forty days and nights. Theoretically, taxes were assessed uniformly and according to the Shari'a, but, in practice, they were not assessed according to any known system. The amount depended on the individual collector's discretion, a treatment that contributed greatly to protests, refusal to comply, and, ultimately, to rebellion. With the introduction of money into Eastern Bukhara, more taxes were introduced by the capitalists: Tarazupuli, rahpuli, juftana, kahpuli, khaspuli, mushtak. It is not our purpose here to study the tax system of southern Tajikistan. Our aim, however, is to illustrate the elaborate system that was put in operation within a short time, without taking into consideration the human essentials such as a farmer's needs, his ability to pay, and his vulnerability against predators. Fundamental issues such as human rights, provision of education, healthcare, and existence of just laws were not even within the ideal perspective for that community. The Vosse uprising, discussed further below, is a good example of the type of frustration that repeatedly ended in Tajik uprisings in the Kuhistan. After the introduction of the "new Russian order" in Eastern Bukhara, the population was divided. Ethnically, the Turkish overlords were distinguished from their Tajik subjects and, socially, the rich mirs, amaldars, and aksakals were separated from the peasants and artisans. In between the two was a class of tax users, consisting primarily of mullahs and ishans. Not a small number--2,880 in Khavaling; 2,445 in Baimush, and 435 in Sar-i Khisar--they preyed on the destitute and extracted whatever they could manage from them. Their services were required by the state because they were the link between the tax payer and Allah. They calmed the fury of the peasants, when the burden became unbearable, by justifying the inhumane acts of the tax collectors. The larger class of tax abusers, of course, was the administration. Normally, the administrative staff is salaried. The funds for salaries is generated by collecting annual taxes from various segments of society according to rules and regulations legislated by the body itself. The influential and the rich carry a considerable portion of the burden of taxes. Their participation then softens the impact of the taxes on the lower level members of society such as farmers and laborers. In Eastern Bukhara, the situation was the absolute reverse. The rich and the influential, by dint of their position, were exempt from paying any taxes. As officials of the state, however, they were the chief beneficiaries of the taxes that were collected from the peasant and laborer classes. On the other hand, if a peasant family could not pay its taxes, it had to borrow from the bek to pay. When the debt, and the accumulated interest, could not be paid at the end of a certain amount of time, the bek took drastic measures against the family. Measures so harsh that tore the fabric of the family apart. Take, for instance, the case of the debtor in Kulab who did not have any money to repay the bek, but had a beautiful fifteen year old daughter. The bek asked for the girl as payment. The debtor, not being able to disobey the order of the bek, sent his daughter to the mountains and declared her dead by drowning. The bek accused the entire family of murder, confiscated its land and possessions, and sold the father into slavery. The fate of this unfortunate family illustrates the difficulties that thousands of families had to cope with daily in Eastern Bukhara, especially in the Baljuan and Kulab Bekdoms, at the end of the harsh reign of Amir Muzaffar (1860-1885). Farmers, who had come under Manghit rule for the first time as a result of the expansion of Muzaffar's rule over Eastern Bukharan territory, were unhappy and restless. Several years of drought, and constant attacks of locusts had devastated the land, adding to the difficulty of a life already repressed by the mirs and the beks. As can be seen, the Vosse uprising did not occur in a vacuum. The Amir of Bukhara, who had to pay war indemnities to Russia, appointed his most cruel agents as beks of the various Eastern Bukharan Bekdoms. The new beks imposed heavy taxes on the primarily peasant Tajik society, including a separate tax for defraying war indemnity. But, while they took away the peasants' total output and most of his following year's crop, to "buy" the silence of the landowners and the merchants, they officially exempted the latter from paying any taxes. The full burden of a heavy tax, therefore, fell on the peasants. In July 1870, unable to bear the burden any longer, the peasants took action, albeit mild action. They approached the Bek of Baljuan properly and asked for a reasonable reduction of taxes. The Bek refused their request. In response, some 2,000 peasants, from thirteen villages, invaded the Bek's fort, put it under siege, and eventually took it over. The takeover did not last long. Soon after entering the fort, the majority of the peasants were satisfied with taking what little they could carry. After that, they returned to their homes and resumed their normal life. Only a small, revolutionary core remained to face the Bek. Receiving reinforcement from the Bekdom of Hissar, the Bek suppressed this, as well as a number of similar revolts. Each defeat, of course, added to the discontent of the increasingly suppressed peasantry of Eastern Bukhara. The ascension of Amir Abdulahad (1885-1910) inspired the farmers with the hope that the new Amir would not require them to pay taxes for the past years of drought. But the Amir and his mirs and amaldars disappointed them. The Amir called the peasants who sought a reduction of their taxes "rebels" and ordered his mirs and amaldars to continue the practice established under his father, Amir Muzaffar. The ruling specified that farmers who could pay cash or crop must pay for three years in full (the payment had to include all the taxes and fees required by the regional governor and the local Bekdom). Peasants who could not pay the full amount should "sell" their sons and daughters to the government to serve the new Amir or his beks. These demands caused the farmers a great deal of distress, forcing them to seek various avenues by which to contend with the Beks' foremen. Using a whole spectrum of methods, they tried to make their wishes known. These included collective protests, refusal to pay taxes, sending delegates to Bukhara to ask for clemency from the Amir, and leaving Baljuan and Kulab to take refuge in neighboring lands such as Afghanistan. In Afghanistan, they hoped to influence their pre-Manghit-Era overlord, Mir-i Zard, to return and destroy the power of the exploitative Manghits. But all of these, including the 1855 uprising in which the peasants of Mu'min Abad, Mulla Mirza, Mulla Barat, Sa'id, Mulla Davlat, Rahman, Mulla Nazri, Muhammad Alim, and Adina Muhammad participated against the Beks of Baljuan and Kulab, were to no avail. There was, however, a positive aspect to them. They prepared the way for the rise of the Kuhistan's most memorable hero, Vosse. Vosse (1845-1888) grew up in the Mukhtar Valley of Khavaling, near Baljuan, north of Kulab in the Khuttalan region. While helping his father harvest wheat, he met Anargul, the daughter of a Badakhshani farmer. They fell in love. The girl's father, who wanted to "sell" her to the highest bidder, refused Vosse's request for his daughter's hand. Vosse and Anargul eloped, settled down, and eventually had three children. Vosse worked a summer and a winter job. During the summer, he was a farmer. During the winter, he was a jawazkash, operating his own cotton-seed-oil extraction factory. In 1884, in his absence, Vosse's blood brother, Nazir, was accused of murder and imprisoned in Shahr-i Sabz. Hearing about the circumstances, Vosse set out on a long journey through Khavaling, Baljuan, Narak, Dushanbe, Hissar, Dihnau, and Ghuzar; along the way he worked as a horse attendant for a bek. After much difficulty, he finally found his blood brother. The latter had fled from prison and was living in Samarqand, in the care of a certain Mullasafar. With the help of Mullasafar and Vosse, Nazir regained his health and accompanied Vosse home. Mullasafar regarded himself as a student of Ahmad Danish.66 Having read Danish's Vaqaye' al-Hikayat, he openly spoke about the shortcomings of the government and the mullahs. In the course of their talks, he communicated much of what he had learned about human rights and the power of the peasants to Vosse. Before long, Vosse, too, changed his outlook on both government and religion. He, too, began to believe in the collective power of the farmers and in their ability to reshape life in their homeland. When he returned to Baljuan from Samarqand, Vosse talked to his neighbors about his trip to Samarqand. But, more importantly, he talked about Mullasafar and his views regarding the Amir and the clergy. Furthermore, from then onwards, every time an injustice was done to the peasants, Vosse was sure to gather the Tajiks and speak to them about the need to stand their ground against Turkish overlords and to seek independence from Bukhara and Russia. In late 1885, accused of an assault on a minor official, Vosse was arrested. While waiting for the bek to punish him, he tamed one of the bek's restive horses. The bek set him free. Rather than thanking the bek for his freedom, Vosse insulted the bek and incited the farmers against him. The bek withdrew from the public banquet that was being given in his honor and retired to the safety of his fort. The dissatisfied farmers chose Vosse as their leader against the oppressive Manghits. To eliminate Vosse's growing threat to Hissar and Darvaz, the government used the good offices of Mullasafar. The Mullah was promised that Vosse's surrender would not end in punishment; rather that he, Vosse, would be given land and, possibly, a good job. Mullasafar, a simple mullah, communicated this to Vosse, whose whereabouts he knew, and convinced him to give himself up. Vosse accepted. After Vosse surrendered, Ostankul Qushbegi, the Bek of Hissar, captured some 130 of the rebels. After killing forty of them in Baljuan, he dispatched the rest to Shahr-i Sabz for punishment. As for Vosse, he and two of his close aides were put to death in Shahr-i Sabz in the presence of Amir Abdulahad.68 The extent of the revolt was kept a secret. The rule of Abdulahad was different from the rule of those who had preceded him. He was the first of the Manghit rulers whose authority was not complete--for every action, he had to consult with Russia--and whose kingdom was divided. Abdulahad had to decide whether to join the conservatives and sustain the status quo, or side with the reformists and challenge the authority of the chieftains and the ulema. The decision as to which social direction the kingdom should take had economic, political, and ideological ramifications. In order to challenge the authority of the Uzbek chieftains, it was necessary for the Amir to decrease the authority of the Uzbeks in his administration. This action further entailed replacing Uzbeks, who had traditionally held prominent positions, with Iranians. Iranians, as is well known, are Shi'ite. Raising the Iranian Shi'ites to prominent positions at the expense of the select members of a primarily Sunnite community did not sit well with the Sunnite clergy, who themselves stood to lose influence in the community, as well as at the court. The inability to resolve these social and political issues, divided the Emirate: socially, between the reformists and the traditionalists (not all clergy), politically, between the Iranians and the Uzbeks, and ideologically, between the Shi'ites and the Sunnites. The followers of Muhammad Ikram ibn Abdussalam (known as Damulla Ikramcha) were the enlightened population of Bukhara. The Damulla, born in 1847 in Bukhara, was a product of the Bukhara schools but, as an individual, he kept an open mind. In 1896, he traveled extensively and acquainted himself with new social values. With new thoughts and a changed world view, he returned to Bukhara and became its social reformer and ardent critic, especially of its educational system. The weight of his criticism rested on the methods of instruction employed by the traditional Bukharan madrasahs. Ikram was greatly influenced by the works of Ahmad Danish. He rose in support of the jadid schools and gave them Islamic sanction.75 Using realism as a weapon, in 1910, in a risala entitled Fayz al-Naimin wa I'lam al-Jahilin (The Awakening of those Asleep and a Warning to the Ignorant), he criticized the superstition pervasive in his society and lauded the efforts of those who combated ignorance by introducing change. Interestingly enough, in spite of the socio-political and ideological clashes prevalent in the kingdom, Amir Abdulahad sought his own comfort. To a degree, it can be said, he played the various factions against each other to buy himself solace and comfort. For instance, he was aware that his own debauchery did not sit well with the ulema. Rather than mend his own ways, he appointed Qazi Badriddin ibn Qazi Sadriddin of Kulab as the Qazikalan of Bukhara. Abdulahad knew that Badriddin, if anyone, could muzzle the clergy and allow him (Abdulahad) the freedom that he thought he deserved. As his first action, to intimidate the rest, the new Qazikalan had a number of the prominent ulemas executed in public. He then black-listed many others, offering their high positions to younger, more submissive ulema, who would carry out his behest without question. To further humiliate the old ulema, he offered the new ulema rooms in the madrasahs and dahyak scholarships. The new cadre of ulema that entered Bukharan society was no longer either a threat nor a potential source of discontent and disruption. They were slaves of Qazi Badriddin. Having reached his goal, Amir Abdulahad retired to Karminah and left the affairs of the state to the Wazir Astankul Qushbegi and Qazi Badriddin. Badriddin, however, died soon after and his position, rather than to his son, Burhaniddin, was given to Baghakhaja.76 Angered at the appointment, Burhaniddin, the hereditary claimant to the position of the Qazikalan of Bukhara, orchestrated a social clash between the traditionalists and the reformists. This clash, as we have discussed, entailed a political conflict between the Iranians and the Uzbeks, as well as an ideological conflict between the Shi'ites and the Sunnites. In sum, for the first time, the reformists, represented by the Qushbegi and Baghakhaja, found themselves in direct opposition to the traditionalists, represented by Burhaniddin. The situation was not an easy one to resolve. Astankul Qushbegi and Qazikalan Baghakhaja were of the opinion that the new-method schools would open the way to the new thinking that was increasingly entering Bukhara from Russia. They were willing to allow the new generation of Bukharans to learn Russian and read about the changes in the newspapers that often appeared in the capital. Burhaniddin, using the disgruntled traditional ulema, especially Mullah Qamariddin, fomented discord, accusing his opponents of being pro-Russian, pro-Iranian, and pro-Shi'ite. Until the time of Amir Nasrullah, Bukhara was monolithically Muslim, bound to the rules of the Shari'a and the dictates of the Qur'an. The mullahs, led by the ulema, saw to the proper execution of the laws. Their actions, in turn, were supervised and sanctioned by the Amir. Amir Muzaffar's 1868 defeat changed that situation substantially. The rule of Abdulahad, to a great extent, mirrors this major problem, i.e., the recognition of the role of Russia in Bukhara at both the governmental and the public levels. In a manner of speaking, Bukhara, its Amir, and its people faced a catch twenty-two. On the one hand, modernization mandated by far off St. Petersburg, had to be heeded and a hefty war indemnity had to be paid by levying heavy taxes. On the other hand, traditionalism was keenly promoted by the ulema who demanded the retention of the traditional madrasahs, the teaching of theology and the Qur'an, and maintenance of the traditional economic system. Abdulahad was a conservative ruler in religious affairs, as well as in social and political affairs.79 Siding with the superstitious views of the ulema and of the population of Bukhara, against the Russians' decision to exterminate the locusts that ruined the harvest, he reportedly said, "How can we destroy locusts that have been sent by God? "80 Abdulahad died in 1910, leaving the thorny issue of the new-method schools, but more correctly, the issue of the modernization of the Emirate, to his Crown Prince, Alim Khan. Amir Alim Khan was born in 1880. He completed his early education in the theological schools of Bukhara. At the age of thirteen, he was sent to St. Petersburg to study government and become acquainted with the new military techniques. Although usually it took seven years to complete the course he had embarked on, due to his father's request, he was allowed to complete it in three. He spent his summers in Bukhara. At the conclusion of his studies, in 1896, Alim Khan, who was appointed the Crown Prince of Bukhara by the government of Russia, returned home and joined his father. After two years of instruction from Amir Abdulahad, Alim left Bukhara for Nasef. He governed that region for twelve years before he was transferred to the northern province of Karminah. Two years after his appointment to Karminah, Amir Abdulahad Khan died; Alim Khan became the Amir in 1910. Alim Khan's rule began on a note of optimism. As a first measure, he declared that he would no longer expect or accept any gifts and that he would prevent his officials from demanding gifts from the public, especially from the peasants. He also announced that his subjects would not be solicited for one year,82 and that his officials would no longer be allowed to impose taxes on their own. Furthermore, he informed his subjects that the judges and the clergy would no longer assign fees according to their own wishes and that all state employees would be paid a regular salary by the government. In other words, the population no longer had to provide provision for officials on duty. The major event of Alim Khan's rule was the crystallization of the division between the reformists and the traditionalists. This trend, as we have seen, began under earlier Amirs who had tried to decrease the influence of the Uzbeks (read Turks not of the Manghit tribe) in the administration of the Emirate by elevating the Iranian (read Tajik) ulema and giving them a stronger voice. The Turkish opposition grew over the years and was strengthened by the contributions of the Tatars, especially in the field of education. Reform-minded jadidists not only grafted Bukharan concerns to the international causes of Pan-Islamism88 and Pan-Turkism,89 but by undermining the power of the ulema, paved the way for the entrance of Bolshevik rule. In fact, it was the eventual alliance between the left-wing of the Bukharan Youth and the Bolsheviks that sounded the death knell for Alim Khan and the Manghit dynasty. During the revolutionary years, the kingdoms of Afghanistan and Bukhara shared the same goal--independence from the superpowers. They exchanged favors in the sense that the Amir expelled the British from Charju, in present-day Turkmenistan, and the king helped the Amir fight the Bolsheviks and maintain the independence of his Emirate. The alliance, of course, threatened the new Bolshevik regime which moved to eliminate the Emirate. Like his predecessors, Alim Khan was a traditional ruler. He toyed with the idea of reform only as long as it kept the clergy in line and as long as he saw the possibility of reshaping Manghit rule to fit the new world. When the price became dear, he did not dare antagonize the clergy; rather, he walked with them to the end of the line--their exile to Afghanistan. The first and only Manghit ruler to add the title of Caliph to his name,93 Alim Khan died in 1946 in Afghanistan. Between 1921 and 1925, almost all the energy of the new Tajik society, under socialism, was spent on the establishment of Soviet rule. 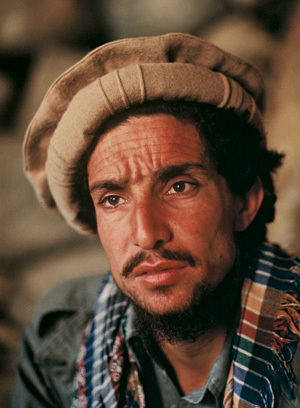 It was clear that, as long as the Basmachi94 resistance was not defeated, i.e., as long as the Basmachis were not either brought within the fold or forced into exile to join their supporters in Afghanistan, there would be no opportunity for the implementation of progressive measures in the region. In fact, freeing the countryside from brigands and anti-revolutionaries became a prerequisite for the serious consideration of reforms in the former Eastern Bukhara region. The Basmachi movement, however, continued for much longer than the Soviets had imagined. The continuation proved to be detrimental to the well-being and growth of the Tajiks as a people and of Tajikistan as a nation. First, because the Tajiks had allowed the Basmachis to move about freely in their river valleys, and because, to a degree, they had assisted them, a long delay occurred before any plans for progress were developed for Tajikistan. Whereas plans for the other republics began to be implemented as early as 1921, for Tajikistan such plans began as late as 1927. Second, due to its restive nature, Tajikistan was deprived of its right of nationhood. During the 1924 national-administrative divisions, rather than being granted independence, the Tajiks were placed under the auspices of the Soviet Socialist Republic of Uzbekistan. Plans for rebuilding Tajikistan were approved, if not initiated, by Uzbekistan. Third, when eventually the case for the development of Tajikistan (here, of course, we are concerned with the development of natural and human resources) was considered in the fifteenth session of the Communist Party of the Soviet Union (1927), Tajikistan was treated as a divided nation. Planners made the division, which geography had already created between the north and the south, even more pronounced. The fact that the natural resources of the north and south were mutually exclusive made the division easy, but logical and, therefore, justified as well. The north (Leninabad) was targeted primarily for industrial development while the south (Kuhistan) was slated primarily for agricultural development. In a section entitled, "simmering issues," we shall examine the development of these issues outside the general framework of Soviet activities. It will become increasingly clear that Soviet authorities should have heeded the warnings issued by the Wahhabi Muslims, who had been isolated in the highlands of Qarategin and Gharm; they should not have turned a deaf ear to the cries of the people of the south for equitable treatment; and, certainly, should not have assisted the Uzbeks in preventing the Tajiks from achieving national status and independence. A brief study of the history of these ideological, regional, and ethnic conflicts, and the consequences of ignoring them, concludes this part. The plans95 for the establishment of socialism in the Soviet Union as a whole, and in specific republics, had a dual focus. With this in mind, the planners took a number of factors into consideration, especially perspective and the potential problems that could impede a smooth implementation. Priority was granted to the needs and interests of the Soviet Union as a whole; secondary focus rested on the needs of specific republics. As a result of this dual emphasis, the plans for the USSR and those for the republics were intimately intertwined. Nurturing the social, economic, political, and ideological growth of socialism, these plans were of three types: long-term, middle-term (five year), and short-term or current. The capabilities of the work force, the growth of technology, the availability of raw materials, and the size of the project were the deciding factors in determining the acceptance or rejection of developmental plans, as well as for determining the duration granted for completion of a project. At the beginning of the Soviet Era, Tajikistan faced two major problems. First, it was a backward, medieval state in which caravan roads connected the towns with the neighboring villages (qishlaqs). It was also a land enmeshed in intrigue, ill equipped even as a rural kingdom, and ruled by an assorted group of qadimis (traditionalists), jadids (modernists), Pan-Islamists, and Pan-Turkists. The second problem was even larger than the first. As mentioned, Basmachi units had placed their anti-Soviet personnel in the towns and qishlaqs of Tajikistan, using the mountainous terrain, and the innocent peasants living there, as their main sources of strength. This resistance, as mentioned, prevented Tajikistan from receiving developmental funds, expertise, and other necessary means for establishing a national base among the regions competing for independence. What the planners saw in southern Tajikistan was a stretch of land with access to a substantial network of rivers. These included Vakhsh and Kafirnihan, and their tributaries; Varzab and Qarataq; and Panj and its branches, including the Qizilsu. The planners were aware that a main canal on Vakhsh alone had the potential of operating up to eight hydroelectric stations including Narak, Boighazi Sarband, Sharsharah, and Markazi. With just this network, they could meet the energy needs of southern Tajikistan. With the addition of the Panj and its vast network of tributaries, they could electrify the entire Tajikistan republic, as well as a good portion of the southern republics of the Soviet Union. The building of the structures outlined above required a large body of management workers. It also required amenities that would persuade industrial workers to join the operation and contribute their skills and ingenuity to the development of the region. To meet those needs, the planners took several important steps. First, they distinguished one of the major cities of each vilayat as a vilayat center. Lesser cities were slated to become district centers while the qishlaqs would become pasiyonlkas (industrial towns). Furthermore, the vilayats were urged to integrate their agricultural and industrial resources and allocate their funds accordingly. Second, they established the foundation of a new educational system and a series of modern communication, administration, and commercial centers. Third, the planners realized that the building of factories would necessarily attract untold numbers of workers to the vilayat centers and pasiyolkas; that they would want to work in the factories close to their qishlaqs; and that they needed to be accommodated. Consequently, an elaborate system of urbanization, raising the status of appropriate qishlaqs to pasiyolkas was included. These urban centers, as we shall see, were planned to sustain the needs of the individual from childhood until he or she entered society as a contributing member. Even the recreational needs of the future inhabitants of the region were planned. This meant the refurbishing of the ancient fortifications, recovering the ancient heritage of places like Hissar and Qurqanteppe, and excavating around Narak for the remains of the ancient Sughdians. In this same context, the city of Stalinabad was to receive a large number of monuments dedicated to the greats of the past (Rudaki, Ibn-i Sina, Firdowsi) and the major figures of early Soviet Era (Aini, Lahuti, Potavskii). Eight restricted areas were selected in which various types of rare animals and plants could be safeguarded, studied, and appreciated. Transportation within the region was planned to be carried out by rail. The Termez-Qurqanteppe-Yavan line would carry raw materials to Yavan and would move manufactured goods from Yavan to the other industrial centers and abroad. Due to the mountainous nature of the terrain, automotive transportation was not to eclipse the use of animal transport. The Panj and Amu rivers, too, were included as contributors to aspects of transportation. The planning phase completed, the building of the new socialist republic began in earnest, each decade adding its own contributions. In the early stages, a casual observer would not perceive the change immediately. Much of ancient Bukhara continued to resist change. Besides, many peasants preferred the plow to the tractor and many others advocated a return to the old ways. Their numbers, however, were decreasing as were the numbers of their donkeys, mules, and carts that carried the fruits of their labor to the town and city markets. Eastern Bukhara of the Amirs was increasingly engulfed in the throngs of Soviet engineers, managers, and agronomists attracted by the natural beauty of the land and to its potential for development. By the early 1930's, there was no question in anyone's mind that Tajikistan was on the way to becoming a modern republic with a growing industrial base in the north and a burgeoning agricultural enterprise in the south. The record of production of devoted Tajik workers, driven by ideology, confirms this view. The record includes 2,200 units of labor and 19 Machine Tractor Stations (MTS) with 1,284 tractors. It also indicates that cotton production expanded from 38,000 tons (1928) to 50,000 tons (1932). In fact, at the level of the Soviet Union, Tajikistan became the sole source of daraznakh cotton. The Tajiks' hard work was rewarded by opening a textile combinat for shahibafi in Dushanbe. The combinat created more work and more jobs; with the addition of the Termez-Dushanbe railroad, it also boosted commerce. The combination of ideology and hard work paid off. 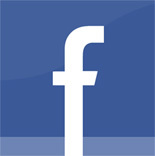 The net income of the inhabitants rose from 65 million sums to 112 million sums within a short time. These concrete gains were further rewarded by Moscow with the granting of independence from Uzbekistan in 1929. Furthermore, with assistance from the Center, Tajikistan entered an actual production phase, i.e., it could produce fuel, foodstuffs, textiles, and construction materials. The construction of a major brick factory in the city of Dushanbe in 1932 was the Tajiks' first taste of partial economic independence. They had built, and, therefore, owned, the republic's first construction materials center. During the 1930's, Tajikistan underwent a profound transformation. It changed, albeit gradually, from a collection of medieval cities, rural towns, and qishlaqs into a republic with a considerable industrial and agricultural economy. The people, too, changed from a predominantly rural mind-set to a more urban mind-set. Many left their ancestral lands in the qishlaqs for jobs in the towns and cities. The Tajik government that had orchestrated the change had also created the means by which to build the infrastructure required to accommodate plant and factory workers. The growing needs of agriculture required the generation of more and more electric power. In the south, the Varzab Hydroelectric Station and a series of lesser stations at the rayon98 level were completed and went into operation. This also allowed, in 1937, for the planning of the first mechanized textile factory (kombinat-i bafandegi-i dushanbe) to be built in the city of Dushanbe. In addition, by 1938, another group of 45 Machine Tractor Stations, with 3,217 more tractors, was added to the work force. With the development of the Vakhsh Valley, and the institution of several more kolkhozes and sovkhozes, rural Tajikistan was transformed into an agro-industrial republic, leaving only traces of its feudal past. A growing nation is always in need of upgrading its agro-industrial base, and Tajikistan was no exception. As foreseen in the 1927 all-Union plan for the region, it was necessary that it move, albeit slowly, from a light industry region to a more heavy-industry-oriented complex. As a result, more hydroelectric stations dotted the Varzab River and the Kuhistan region in the south. More importantly, the entire region became an exclusive cotton production center equipped with its own small textile and local industries. Additionally, by 1942, 51 Machine Tractor Stations with 3,844 tractors were added to the work force. The 1940's saw a deep gap within Tajikistan between the socialists and the Wahhabi Muslims. Entire regions, like Tavil Darra, Gharm, and the lower Vakhsh, all the way to Qurqanteppe, had chosen to respect their ancient traditions of land management and the Islamic way of life. Like the Amish in the United States, they stayed clear of all technological developments, continuing their existence as if the Soviet Union did not exist. They instituted their own schools, hired their own teachers, and organized their society with the help of their aksakals and ishans. Ignoring this militant minority, the Soviet Union, which had entered World War II, continued its projects. To meet the nation's need for grain, cotton, fruits, and vegetables, it expedited the completion of the Hissar Canal, which was completed in 1940. To safeguard against mass protest in the face of difficulty, it also allowed moderate improvement in the lives of select groups of Tajiks, especially those who had been allowed to participate in the work force and who contributed to the building of socialism. Many members of this population were Sovietized Muslims. Additionally, while the War raged on, in the early 1940's, 233,000 houses, many schools, health centers, and recreation areas were built and given to deserving families. Furthermore, to eliminate joblessness, in 1942, the kombinat-i bafandegi-i dushanbe and a new cement factory were put into operation. Viewed differently, the 1940's saw two entrenched ideologies in Tajikistan. Socialism, the dominant ideology, had the upper hand. Able to provide food stuffs, shelter, jobs, and security, it won many of those, who had wavered, to its cause. According to Soviet sources, by this time socialism was fully established in the farthest qishlaqs of the Kuhistan. To a degree, this claim can be justified by the speedy process of urbanization required to accommodate the large number of villagers who came to the cities in search of work in the factories. The number of buildings created for the institutions of higher education, including Tajikistan State University in the Name of Lenin, completed in 1948, attest to that. Access to knowledge, however, remained limited. Rather than meeting future Tajik needs by training Tajiks who would occupy some of the positions thus far held by European Soviets, more and more factories and low-level jobs were created. These included the Tricotazh99 factory and the Armiture (armatura) factory named after S. Arjanikidze, in Dushanbe. Additionally, six new Machine Tractor Stations were added, increasing the number of tractors from 3,884 in 1940 to 4,111 in 1950. Skilled workers needed in cotton processing factories in Qurqanteppe and Kulab were brought in from elsewhere in Russia, or from the European parts of the Soviet Union. The other entrenched ideology in Tajikistan of the 1940's was Islam in its Sunni, Wahhabi, form. As mentioned, these nonconformist Muslims chose the rather inaccessible river valleys of the upper Vakhsh for settlement and virtually cut themselves off from mainstream Tajik life. Were it not for the war, they would have continued their seclusive existence for a much longer period. But, as we shall see, Soviet authorities needed assistance for the war effort from all the inhabitants of the Union, including the steadfast Muslims. Not so much in Gharm and Tavil Darra, but in major cities and towns of the republic, maktabs opened, some mosques were rehabilitated. At the national level, four directorates for overseeing the affairs of the Muslims were established in Ufa, Tashkent, Baku, and Makhach-Kala. In exchange, the Muslim clergy allowed Muslim women to work in the cotton fields, Muslim men to undertake behind the front activities, and Muslim youth to participate in the War in whatever capacity they were assigned. In the early 1950's, improvement of aspects of industry, including mining, fuel, textile, foodstuffs, and building materials remained a constant. Further improvement in lifestyle, both materially and psychologically, was also given a great deal of attention. This latter was given precedence because of the difficulties that had arisen as a result of the war efforts discussed above. In order to accommodate war returnees, in the south, the building of two new cotton processing factories in Qurqanteppe and Shahrtuz was completed and the textile factory in Dushanbe became partially operational. In fact, more institutions and workshops were established and many existing institutions were updated for the same purpose. These new projects, especially those dealing with agriculture, required an upgrading of the facilities that produced electric energy. To meet this need, a third hydroelectric station was built on the Varzab River, and a number of lesser stations, down river, became operational. During the latter years of the 1950's, perhaps the most profitable contribution of the decade, i.e., the recovery of marshlands for agriculture, was completed. As a result, large tracts of marshland around Qurqanteppe, Kulab (lower Vakhsh), and Dushanbe (Varzab) were recovered and cultivated. Then, the focus of further development in the republic was shifted to the upper Vakhsh, where it remained pretty much until the fall of the Soviet Union in 1991. Among the achievements of this phase of Soviet development in southern Tajikistan are the completion of the Sharsharah and the foundation of the Sarband hydroelectric stations (both on the upper Vakhsh). Regarding society at large, the latter part of the 1950's was a watershed in the building of socialism. In spite of the war, over the past decades, much of the infrastructure required by the agricultural sector--Machine Tractor Stations, tractors, factories, and hydroelectric stations--had all been built and were operational. With a few major land reclamation programs, and the integration of small kolkhozes into larger units, management, too, had improved. For a while, therefore, the intellectual power of the State was unified and focused on the resolution of the problems that impeded the rapid rise of socialism. This included an assault on religions and, in the case of Tajikistan, a reversal of the policies of the previous decade--pro-Islamic policies dictated by World War II (see Simmering Issues, further below). The Tajikistan of the early 1960's saw the fruition of the efforts expended in the development of the lower Vakhsh region, especially in light industry. The automotive industry responded to the immediate needs of engineers, managers, and farmers. Alongside that, a gigantic hydroelectric station with the capacity of 2.7 million kilowatts of energy appeared on the Vakhsh River. Further automation led to the expansion of irrigation and to the introduction of the brigade system on some 13,615 hectares of land. Man power was boosted to its limits. The resulting agricultural surplus raised the Tajiks' purchasing power, benefited the economy, as well as the government. In fact, agricultural surplus and new commodities, such as furniture made in Dushanbe, formed the basis of an inter-republic trade between Tajikistan and her neighbors. The actual era of prosperity, however, was the latter part of the 1960's. At that time, the production of automotive tools, electricity, and foodstuffs boosted both light industry and trade; naturally, it also improved the lifestyle of the individual Tajik tremendously. Labor input and output increased twofold. Over one hundred new factories, plants, and workshops were added to those already in existence. These included the hydroelectric factory on the Vakhsh, the "Pamir" refrigerator plant, the Hissar Hydrozal, and the inauguration of mining in Anzab. Furthermore, the production of cotton, milk, meat, and grain increased manifold and 54,000 hectares of new land was reclaimed. Additionally, a major contribution of the decade, the largest irrigation system in the Kuhistan, i.e., the Yavan-Abkik Irrigation System, was completed. This project brought very large tracts of land into cultivation. The other major contribution of the decade was the kombinat-i bafandegi-i dushanbe, which became fully operational at this time. A major achievement of the Soviet Tajiks, in 1966, the combinat was included among the textile production outlets of the USSR. At the Union level, the march toward socialism continued with an overhaul of the educational system of the republic to reflect the rapid changes in the social life of the people. At the level of the individual, a quarter of the people received new housing, salaries were automatically raised, and life conditions, in general, improved in a meaningful and substantial manner. The major contribution of the late 1960's and early 1970's was the foundation of the Regional Productions Complex in Tajikistan (RPCT). The largest productions center in Central Asia, RPCT was also one of ten such major production centers in the former Soviet Union. These complexes were located mostly in the eastern parts of the former USSR where natural resources were abundant. The complex was especially mentioned in the proceedings of the twenty-fifth meeting of the Communist Party of the Soviet Union. Covering over 34,000 square kilometers, the complex was limited to the north by the Leninabad oblast'100 and the Hissar mountain range; to the west by the Republic of Uzbekistan and the Babataq range; to the east by Gorno-Badakhshan (Badakhshan-i Kuhi) and the Hazrat-i Shah range; and to the south by Afghanistan and the Panj and Amu Rivers. The RPCT served as a framework for future progress in the Kuhistan region for the Soviet Union and, in a general way, for Tajikistan as well. It was mandated, following the directive of the 1971 meeting of the Communist Party of the Soviet Union, whereby the following three units, the Narak Hydroelectric Station, the Yavan electrochemical Station, and the Tajikistan Aluminum Plant, were approved as the cornerstone of a major complex with the potential of realizing the dreams of the original planners, i.e., the integration of agriculture and industry in a harmonious manner; while, at the same time, controlling the main body of Tajikistan's economy. Required by the rapid development of the Soviet Union as a whole, and the demographic projections of the time, especially for Central Asia, the complex was a virtual necessity. It was built in phases. Phase one concentrated on an upgrading of the existing factories, plants, communication systems, irrigation canals, and water reservoirs. For example, a good portion of the area, especially in the Vakhsh Valley and the Hissar region, had already been developed in the early years of the socialist movement. The task at hand, therefore, was to modernize the factories and mechanize the agricultural sectors that fed them. This included the completion of the three Narak Hydroelectric Stations, the first unit of the Tajikistan Aluminum Plant, the mining operation in Anzab, the Termez-Dushanbe railroad--a must for the smooth operation of the needs of the RPCT--and the gas distribution center of the city of Dushanbe. All these units went into operation at about the same time. The utilization of much of the unused land had started during the era of the first five-year plan in connection with the Vakhsh irrigation system which, itself, was originally created for the production of mahinnakh cotton. Now, other related industries like oil extraction and textile production were added to make the operation more efficient and, more importantly, to utilize the byproducts that otherwise would be discarded as waste. Additionally, still in phase one, it was decided to add a number of new factories and plants that complemented those upgraded and refurbished and that were most urgently needed. Phase one, in other words, made southern Tajikistan self-sufficient and allowed the further implementation of the plan for the creation of the complex. Phase two comprised the addition of major stations, reservoirs, and land reclamation schemes that would go beyond republic self-sufficiency and into the realm of exporting energy and other commodities to the neighboring rayons and republics nationwide. Part of the revenue generated by the complex was to be devoted to the improvement of Tajik education, economy, and other aspects leading to complete self-sufficiency and independence. The RPCT, the geographic limits of which were outlined above, encompassed four major regions (vilayat), each of which included a number of administrative districts (rayons) and urban centers close to city and town status (pasiyolka-i tip-i shahri). Both the vilayat and the rayon had their own centers with the center of the vilayat serving as the liaison between the region and the capital at Dushanbe. A mix of Soviet and traditional apportionment of the area interferes with a neat division but, in general, the RPCT included the following four major regions: the Hissar/Gharategin region, which included Dushanbe; the Darvaz and Gorno-Badakhshan region; Kulab; and Qurqanteppe. After the 1992 Civil War, the latter two regions were combined into the Khatlan region. For the purposes of this study, however, they will be treated as two separate regions. The vilayats and their major cities often shared the same history. Some of these local histories date back to the Achaemenian times while others to the Kushanids, or even the era of the Arab invasion. Rather than delving into the histories of individual regions, we shall select Kulab and Qurqanteppe as our samples of various aspects of development of the whole region. Considering the vast area under discussion and the resources involved, this is indeed a modest selection. A thorough understanding of the mechanics of the development of the regions, however, is essential. Even under these circumstances, we shall use the regions in an input/output relationship. In other words, we shall look at Kulab's geography, history, and the spectrum of resources that it contributed to the development of the RPCT. Then, granting that Qurqanteppe contributed a similar amount, we shall outline the output of the RPCT in social and economic terms; all along, the emphasis is on the manner in which RPCT was instrumental in improving the lifestyle of the inhabitants of the urban center. The history of Kulab, described by local historians, exemplifies the local people's perspective of their own rural and urban surroundings. According to them, in ancient times, Kulab was included in the Empire of the Achaemenians which, with the fall of that Empire, passed into Greek hands. Between the first and the eighth centuries AD, Kulab became part of the vast Khanate of the Western Turks. In 734, the Arabs conquered the region and remained its overlords until the rise of the Samanids in the ninth century. Like other vilayats and cities of the region, Kulab was destroyed by the Mongols in the thirteenth century and by the Timurids in the fourteenth. At various times in its long history, Kulab has been ruled by the Khanate of Bukhara (sixteenth century), the kingdom of Balkh (seventeenth century), and the kingdom of Qunduz (nineteenth century). Efforts for the building of the city of Kulab began in 1850, when the governors of Kulab and Baljuan cooperated in refurbishing the city as a major trade center between India and Central Asia. Finally, helped by the Russians, in 1870, Amir Muzaffar captured the city and included it in the Emirate of Bukhara. Soviet rule was established in the region in 1921. The vilayats that accommodated the RPCT Complex shared a tradition of agro-business whereby they provided mutually exclusive commodities and exchanged them among themselves. The network that supported their transactions consisted of the southern branches of the famous Silk Road as it connected the agricultural centers in the south to each other. The centers themselves were organized as producers of foodstuffs, as well as specialists in one or two exclusive commodities for which they were known. For instance, while all the centers produced dry fruits, grain, and animal feed, only specific centers contributed silk, karakul lamb, and rock salt. It was this network, but more so the agricultural and mineral resources of the region, that attracted the attention of the planners of the RPCT. The preliminary steps for the unification of agriculture and industry took place in towns like Kulab. This sleepy town near the border of Afghanistan, was elevated to become the center of both the rayon and the vilayat. Gradually, it became the center for the production of foodstuffs, building materials, and metallurgy. As the metallurgical center, it produced spare parts for combines, the cotton factories, and the many textile mills of the area. Additionally, it housed an oil-extraction factory, a plant for the production of maska oil, and several plants for processing meat, bread, and other commodities. Located in the south, the terrain of the vilayat is mountainous; the elevation decreases as one moves south, giving rise to the Kulab (a tributary of the Yakhsu), Panj, Surkhab, Abinkav, and Yakhsu rivers. These rivers, as we have seen, contribute to agriculture, which has been a mainstay of life in the river valleys, and to the production of hydroelectric power. As part of their redeployment efforts, especially in view of the use of the rivers for generating electric energy, the Soviets built two water reservoirs in this area: Mu'minabad and Selbur. Kulab does not have a shortage of plants. Its mountainsides and river valleys abound in various types of orchards and vineyards. Pistachio nut, pomegranate, walnut, and plum trees are as abundant as willow and plain trees. So are mulberry trees for feeding the silk worm, as well as rice plantations and cotton farms. Even though the higher elevations are given to animal husbandry, one still finds major centers for the production of zirah (cumin), ispand (wild rue), and Anzir onions. But, by far, the major commodity in the vilayat is cotton followed by grain and cultivation of orchards. Cotton was cultivated before the Revolution in moderate amounts. After that, however, it became a virtual monoculture, feeding four major cotton production centers in Kulab, Farkhar, Maskva, and Panj. In 1978, the vilayat had 34 kolkhozes and 31 sovkhozes, all dedicated to the production of cotton. As mentioned, the initial thrust of the Soviets was at an assessment of the resources that already existed and at a reorganization of the systems of production and delivery. Once this phase was accomplished and efficient use of the existing resources was assured, the discovery and exploitation phase began. This phase consisted of an assessment of the mineral resources of the vilayat which included gold, asbestos, coal, natural gas, oil, salt, and building materials. As was the case with agriculture, for the extraction and refining of these minerals and for making them marketable, a number of factories were built, factories that produced everything from wine and beer to salt and oil. The task at hand, therefore, was to put the final touch on the project, i.e., make the project work for the well-being of the citizenry by providing as comfortable a life and work environment as possible, without discriminating between the farmer and the industrial worker, or the engineer and the cinematographer. For this, we shall look at the city of Qurqanteppe, circa the end of the 1960's and the beginning of the 1970's. The RPCT was built to focus the efforts of the agriculturists and chemical engineers on a more efficient use of the natural and human resources of the republic. To a great degree, the Kulab region illustrated this effort, especially at the input level. The Qurqanteppe vilayat, established in 1944, provides the output picture, showcasing the accomplishments of the Soviet Era. The vilayat is centered on the city of Qurqanteppe; it has eleven rayons, 3 cities and 13 posiyolkas in the Vakhsh and Kafirnihan river valleys. Three main irrigation canals--Vakhsh, Shirabad, and Juybar--serve its agricultural and industrial needs. Among them the Main Vakhsh Canal is noteworthy. An agro-industrial vilayat, Qurqanteppe rests at the heart of the RPCT. Its agriculture is multi-faceted, especially with respect to the mahinnakh variety of cotton. The vilayat has numerous orchards, vineyards, and citrus groves. Qurqanteppe also has a long-standing tradition of silk-worm industry, raising karakul lamb, and beekeeping. In addition to these special features, the vilayat produces various types of grains like wheat, barley, corn, and rice and exports large amounts of vegetables. A good portion of the prosperity of Qurqanteppe is related to the efforts of those who, in the 1930's, put the Vakhsh irrigation system into operation and modernized and mechanized the region's agriculture. To that, at the end of the 1960's and the beginning of the 1970's, many stretches of land were added. These were recovered pieces of marshland in Yavan, Abikik, Qaravuti, Tashrabat, Qaradum, and Beshkent Valley. Their addition boosted the contribution of the agricultural sector to the highest levels of production. In 1986, for instance, the vilayat had 50 kolkhozes, 70 sovkhozes, and 25 inter-agricultural institutions. As mentioned, the main plan of the builders of the Vakhsh Complex consisted of an efficient use of the resources of the region. The capacities of the hydroelectric stations on the Vakhsh River alone bespeak the importance that was attached to this facet of rural and urban development in the region: Sarband (210,000 kwh), Markazi (18,000 kwh), Sharshara (30,000 Kwh), and Baiqazi (600,000 kwh). The energy produced at these stations was fed to such large industrial factories as the Vakhsh mineral (nitrogen) factory in Kalininabad, the electrochemical factory at Yavan, and the transformer factory at Qurqanteppe. In turn, these factories satisfied not only the basic needs for which they were built, but contributed immensely to the production capabilities of eight cotton factories, numerous foodstuffs production centers, and several oil extraction, canning, and meat processing plants. At lower levels, they also contributed to the production of building materials like concrete, bricks, and steel beams. The city of Qurqanteppe, the center of the vilayat, exemplifies the type of urban development that the early Soviet planners had in mind for the entire Soviet Union. Each region or republic, of course, was to dictate the rules for redeployment according to its own resources and needs. Qurqanteppe is located on the left shore of the Vakhsh River. Its distance from Dushanbe is 99 kilometers. It serves as the main center of the vilayat's industrial, economic, and civic activities. In its industrial sector, it houses a plant for the production of transformers, a factory for the production of mechanical spare parts, numerous factories for the production of bread, cotton oil, milk, beer, meat, and various types of grain products. Tajikatlas, the Dilaram, and the Fiftieth Anniversary of the USSR Textile Branch are all factories operating in this city. The cityscape includes a number of micro-rayons as well as numerous highrises. The Teachers Training Institute, Energy Technicum, three professional schools, twelve middle schools, and a school of music contribute to the education of the population of Qurqanteppe, a city that could rear its children, train its youth and, above all, provide viable jobs for them when they entered society. Geographically, the Isma'ilis live in the Gorno-Badakhshan Autonomous Oblast' and the Wahhabis in the Kuhistan region, especially in the mountains of Qarategin. The mainstream believers, Hanafis as well as Ithna Asharis, live throughout the rest of the republic. The Hanafi Sunnis form the majority of the population of Tajikistan. Before the Second World War, they were the target of the most intense anti-religion campaigns of the Soviet atheists and the "society of the godless. "101 During World War II, the anti-religion campaigns were relaxed and, soon after, the Muslims were put in charge of their own affairs. In fact, the Muslim clergy were hired by the State to administer the affairs of the faithful properly and to supplement the State's efforts in promoting Communism. The next and, indeed, the last severe phase of anti-Muslim propaganda was during the Khrushchev era. That, too, evaporated with the ouster of Khrushchev in 1964.102 As we shall see, the decision to allow the Muslims a degree of freedom was instrumental in the shaping of future events in the south. The 1992 civil war in Tajikistan grew out of the incompatibility of Islamic ideology with Communism and Democracy. We also saw that the 1940's were crucial years in the history of Islam in Central Asia. What was introduced as a policy of relaxation of opposition to Islam, turned out to be a policy of dividing the faithful into two camps: Sovietized Muslims vis-ˆ-vis militant Muslims. Nevertheless, after World War II, the Tajiks participated actively in promoting Communism and in administering the affairs of the socialist state. Since Sovietized Muslims formed the majority of the followers of Islam, militant Muslims resorted to dissimulation to mask their true identity. There they waited patiently for an opportune time to strike against those who had "sold" Islam to the Communists. It should be added that they took, and continue to take, revenge on that body. An example of this, in more recent times, is the murder of the mufti of Tajikistan along with his family and two of his students in Hissar. Without the cooperation of the mufti and the compliance of his followers, the state would not have functioned properly. It was on the Sovietized Muslims that both the Communist Party and the Soviet government drew for the formation of their cadres. To such Soviet values as hard work, dedication to duty, and abstention from wealth and power--values that founded the RPCT and brought it into fruition--the Tajiks added their own undivided love for poetry, music, and dance. This was, of course, a legacy that they inherited from the Samanids of the ninth and tenth centuries. Soviet Tajikistan, taking full advantage of this unique talent, created a major entertainment industry and funded the production of a series of films--Rustam and Suhrab, Bizhan and Manizhe, and The Story of Siyavosh--all based on Firdowsi's monumental epic, the Shahname. Furthermore, stunning spectacles based on the life and works of medieval sages like Umar-i Khayyam, Jalal al-Din Rumi, and Shaykh Muslih al-Din Sa'di were presented to screen- and stage-struck audiences. This unique and particular emphasis on selected aspects of Tajik culture troubled the militant believers, but more so the Wahhabis. They questioned, for instance, why should, in an Islamic country, scientific atheism be emphasized at the expense of scientific research? Why should entertainment qua entertainment supplant entertainment for relaxation from work? Additionally, criticizing the Soviets' disregard of their values, they asked, why should wine bars, movie establishments, opera houses, and ballet theaters dot the map of the cities of Tajikistan instead of research centers and institutes of technology for the use of the indigenous people? More importantly, they asked, who allowed these innovations and who stood to benefit from them? The more the skeptics looked into Soviet operations and compared them with activities elsewhere, the more it became evident that, all along, the Tajiks had been boasting about progress that, in reality, had not been theirs. For instance, they had been citing the rise in the number of tractors as an accomplishment of their republic while, in reality, they had been the users rather than the builders of tractors. Similarly, they had been producing large amounts of cotton for the Soviet Union, while ignoring the development of their own agriculture; they had not been producing the commodities upon which their very life depended. They had housed the RPCT in their republic, but did not have access to it. Even if they did, they lacked the requisite expertise to utilize its power. After considering this and the pollution that the factories poured into their pristine air and into the clear waters of the Vakhsh and Panj river systems, they lost trust in the Soviet Union, as their nation. They also lost confidence in the RPCT as the solution to their problems. The late 1970's, therefore, saw a gradual rise in dissatisfaction among Tajik youths who, in large numbers, left the fields for the cities. There they met other dissatisfied youths and banded together against the system. It is at this time, and in the south, that we encounter the initial outburst against the Soviet system. We also encounter individuals for whom the reclamation of yet another 50,000 or 55,000 hectares of land, the use of the Danghara land for wheat, and the many other similar potential projects, have no meaning and, thereby, no merit. Of what use was reclamation of land if the state could no longer keep the youth on the land that had already been reclaimed, developed, and put into use? This was, of course, the era that led to the introduction of perestroika and glasnost', the era that shook the very foundation of the USSR and, in time, destroyed what the Soviets had accomplished over the past decades. The confrontation between those who built the RPCT and those who set out to destroy it to build a different life according to their own sets of ideologies and values is best explained in the context of the development of the Vakhsh/Qarategin river valley. It will be seen that the northern and southern tiers of this valley easily symbolize the contending forces that keep Tajikistan away from real progress. The Vakhsh River originates in Kyrgyzstan. There it is called the Kizilsu. In the Qarategin mountains of Tajikistan it is referred to as the Surkhab (lit., red water). Surkhab irrigates the high valleys of Qarategin, as well as provides water for such towns as Gharm, Jirgatal, Hait, and Tajikabad. Some ten other fortifications scattered throughout the mountain region are also served. Qarategin was incorporated into the Emirate of Bukhara in the late 1880's, during the time of Amir Muzaffar, and remained there until the fall of the Emirate in 1920. From 1918 until it was conquered by the Red Army in 1923, Qarategin served as a stronghold for the anti-Soviet Basmachi movement. Even today, in spite of seventy years of Sovietization, Qarategin continues to harbor intensive anti-governmental activities. Outwardly, the towns of Qarategin resemble any of the other towns of the former Soviet Union. On paper, a town like Gharm reports to have over fifty schools, four pharmacies, four hospitals, twenty-nine clinics, eight kindergartens, and thirty-eight libraries. Inwardly, however, Gharm and its neighboring towns and fortifications are hotbeds of Wahhabi activity. Over the decades, the Qarateginis acted against Soviet dicta and promoted their own brand of Sunni Islam, Wahhabism. Wahhabism was established by Muhammad ibn Abd al-Wahhab (1703-1787) in Arabia. Known as the Wahhabiyyah, it is one of the most strict sects within the Hanbali school. In pursuit of tawhid (oneness of Allah), the Wahhabis recognize only those rituals, like prayer, that deal directly with Allah and which, according to their belief, preserve the purity of the creed and of the individual. The Wahhabis acknowledge the authority of the four schools of law and the six books of hadith and they condemn gravitation to saints and the visitation of their tombs. In this context, for instance, in the late nineteenth century, they attacked and destroyed a number of major Islamic cities, including Mecca, Medina, and Karbala. In 1881, they destroyed the tomb of al-Hussein, son of Ali ibn Abi Talib; and in 1886, they shattered the Hajar al-Asvad, the sacred Black Stone--the centerpiece of the Hajj rituals for all Muslims. Furthermore, for the Wahhabis, gravitation to worldly matters constitutes bid'at or innovation. The inclusion of the name of Allah in anything but prayers can easily end in an individual's identification with kufr (sacrilege). In the Wahhabi code, kufr is invariably punishable by death. Unlike the rest of Tajikistan, drinking alcoholic beverages, listening to music, and dance have no place in a Qarategini wedding toi (celebration). These activities are prohibited by the strict Wahhabi code, as are smoking tobacco, as well as the use of silk, gold, ornaments, and jewelry.104 In addition, there is a strict dress code for women. It consists of a cloak that covers the body from the bottom of the foot to the top of the head with only the fingers and the palms of the hands showing. Socially, too, women are restricted. They do not have the right to appear in public, especially where men gather, such as in the market place. If a woman must leave the house, she should do so properly attired and in accompaniment of her husband. Unmarried women must be accompanied by an elder brother. Only prostitutes, the Qarateginis believe, would behave otherwise. All Soviet efforts at educating the Qarateginis met with failure. Soviet teachers were the prime targets of the wrath of the Qarategini males who accused them of luring their daughters into prostitution. Teachers who asked students to remove their heavy clothing, or who advocated the wearing of colorful dresses, were automatically labeled apostates and punished accordingly. Many Soviet educators lost their lives in the Qarategin mountains trying to reach the Qarategini youth. Qarategin, therefore, remained, and to a great degree still remains, a closed society up in the highlands. Farther to the west, and at a much lower elevation, the Surkhab joins another river, the Khingab. Together they form the mighty Vakhshab or Vakhsh River. The Vakhsh, some 800 kilometers long, winds through the inhospitable Vakhsh plain before it joins the Panj with which it forms the Amu River, one of the lifelines of the Aral Sea. The expansive estuary of Vakhsh is a patchwork of swamps, bogs, thickets, and often long stretches of gray, arable land. As we have seen, after their victory over the Basmachis in the south, the Soviets assessed the Vakhsh Plain for development. Positive results committed all-Union funds for the development of the region and the modernization of the town of Qurqanteppe. The centerpiece of the plan was a major network of canals, including the Great Vakhsh, for the irrigation of projected vineyards, orchards, and mechanized cotton plantations, as well as the development of a major citrus industry. The plan also included the building of a hydroelectric station at Narak, where the Surkhab and the Khingab meet. Funds were also ear-marked for a railway to connect Stalinabad (present-day Dushanbe) to Qurqanteppe and the Panj district in the far south. Agriculture alone, however, was not the reason for the expenditure of large amounts of all-Union funds in Tajikistan. An assessment of the mineral wealth of the region, from Hissar to Badakhshan, showed a great potential for the development of a hydrochemical complex in the future. And, in fact, as we have seen, a major agro-industrial complex was created in the Yavan region, slightly to the south and east of Dushanbe, in the 1970's and 1980's. Returning to Qurqanteppe, once the Central funds were released, in the early 1930's, a large number of Tajik workers from the north, especially from Kan-i Badam, Asht, Isfara, Astaravshan, and Ferghana, were moved to the south. Each family was assigned living quarters and a defined responsibility. The key words were cooperation and progress. The former to get the job done efficiently, the latter to showcase the benefits of socialism at home as well as at the gates of India, Afghanistan, and Iran. The northern Tajiks and other Soviets set about fulfilling the plan. At the center of the region, they upgraded the town of Qurqanteppe into the most important Soviet cultural center in the south. In the city, they built cotton and cotton-oil combinats, fruit processing factories and canneries, carpet-weaving factories, schools, libraries, theaters, and ballet and opera houses. In the country, they developed large-scale kolkhozes, sovekhozes, orchards, and stockyards. Thus, by the end of World War II, Qurqanteppe was one of the major contributors to the Soviet economy, especially in the production of high-quality cotton. In fact, it guaranteed the USSR's "cotton independence". This paradise of cotton fields, orchards, and livestock yards was to serve a still more fundamental role. It was to represent the cooperation of a rapidly-growing industry with a major agricultural complex. More importantly, it pioneered the harmonious union of urban and agro-industrial lifestyles. The original developers of Qurqanteppe had advisedly excluded the Qarateginis from contribution to the development of the Vakhsh complex. They were aware of the potential of violence and of the disastrous consequences of regional strife for their unique plan. In the early 1950's, however, due to chronic labor shortages, a rather large population from Qarategin, including families from Jirgatal, Gharm, Hait, and Tajikabad, was moved to Qurqanteppe. Here they were welcomed by the original settlers, were assigned accommodations in various towns and villages, and were taught the skills necessary for carrying out their duties properly. One of the major problems that the Emirate of Bukhara faced, and which continued into the Soviet period, was regionalism. Regionally, Tajikistan is divided into two distinct socio-economic and socio-political areas of interest: north and south. The Zarafshan mountains make the distinction absolute. The north, or Leninabad, added in 1929, is well-off, more ancient, and more cultured. It is also predominantly populated by Uzbeks and Uzbek-Tajiks. During the Soviet period, after Moscow, the major political decisions concerning Tajikistan were made in Leninabad. In fact, until 1993, the First Secretaries of the Communist Party of Tajikistan were northerners. The south, known in the area as the "Kuhistan" or Highlands, is not as monolithic. Comprised of four major divisions--Dushanbe, which includes Qarategin; Badakhshan; Kulab; and Qurqanteppe--the Kuhistan is a hotbed of regional strife. Each region has the potential of claiming hegemony over the rest. It is natural, for instance, for a Qarategini to consider a Kulabi or a person from Qurqanteppe as a usurper of his land and identity. The same is true for a Kulabi vis-ˆ-vis a Badakhshani. They identify each other by appearance, mannerisms, language, and ancestry. They also judge, reward, and punish each other by these, rather than by any other standards. During the 1930's, the division between the south and the north became more pronounced. While the south became involved in collectivization and in the formation of kolkhozes and sovkhozes, the north received substantial allocations of funds for refurbishing its already existing industrial structures and institutions. Shurab, Qonchi, and Isfara became industrial centers rivaling Qurqanteppe and Kulab in their level of production. In general, Moscow preferred the north, where Uzbeks and Tajiks had created a stable center of government. In the south, the city of Stalinabad was trying to establish itself as a viable center of government and commerce. Rewarded with governmental positions, industry-oriented northern Tajiks were sent to the south to meet the industrial needs of the agricultural centers. Northern Tajiks and Uzbeks were also sent to Dushanbe as governmental officials, consultants, and Party Secretaries. Having established themselves in Qurqanteppe, the Qarateginis decided to oust all northerners from their territory. Since, during the Stalin and Brezhnev eras, entertaining such thoughts was not advisable, they waited and used this time to educate their young in their own, rather than in the required Soviet tradition. In addition, when their children reached employment age, the Qarategini adults cooperated with each other in placing them in key positions, mostly as assistants to directors of kolkhozes, managers of hydroelectric stations, foremen of major factories, and the like. Before long, the administration of Qurqanteppe was within the reach of the Qarateginis. During the glasnost' era, ushered in by Andropov and Gorbachev, using regionalism as a ploy, the Qarateginis turned on the old settlers with vengeance. Claiming Vakhsh, rather than Qurqanteppe, as an extension of Qarategin, they accused the northerners of squatting on southern land. In this claim, they had the upper hand. They enjoyed the full protection of their clans; while the northerners, having been moved as individual families, had lost their clans' protection. Unable to withstand the pressures of the southern clans, the old settlers gave in and left for the north. The Qarateginis made sure that none of the wealth of the region was moved to the north. The mass exodus of the northerners meant a virtual economic paralysis for the Qurqanteppe region. But that was of no concern to the Qarateginis who had been brought there against their will in the first place. Large numbers of Qarateginis, too, left the region and returned to their highland homes. With them, however, they carried all the wealth accumulated in Qurqanteppe--tractors, combines, cars, furniture, even light bulbs. In their wake, they left a shell of abandoned houses, factories, and governmental centers. As explained in Part One, after the demise of the Samanid dynasty, the Tajiks survived as a people, but were never again in positions of authority; they were ruled by various powerful Turko-Mongol overlords. This situation was still true in the 1890's when the Russians and the British struggled for hegemony in the region, i.e., when the famous test of wills, known as the "Great Game," changed the pattern of rulership in Central Asia. As a result of an international agreement signed by the contending powers, the Tajik-inhabited territories were divided evenly between Britain and Russia. The southern half of the population became a permanent part of the kingdom of Afghanistan while the northern half, an area that stretched from the Chirchik River (Tashkent region) to the Panj River, remained under Russian control. This direct interference by infidels in their cultural life prompted some Tajik intellectuals to seek new alliances, especially with the Muslim rulers of Afghanistan and Iran. They were interested in strengthening their common traditional Islamic bonds by allowing Pan-Islamism, promoted by Jamal al-Din al-Afghani and others, to influence their activities. But, although this strategy--resorting to the tested patterns of the ancients--had worked in the past, in this case, it proved to be ineffectual. The new century ushered in access to printing, innovative methods of instruction, and entirely new fields of study. Furthermore, efficient means of communication had rendered the traditional patterns of government obsolete. In addition, fresh concepts about liberty, justice, and equality were coming to the fore. Military superiority, Western military victories in particular, attracted the attention of the youth. This to the extent that by 1910, the Amir and his defunct army were objects of derision. But, rather than Pan-Islamism, which drew on the traditional sources of political, economic, and social power, especially of the Ottoman Empire, the new movement promoted Pan-Turkism, which was a union of all Turks as a major contending force against the West, and its interests in Islamic lands. Unlike Pan-Islamism, and the Tajiks that supported it, the Turks readily embraced Western ways. In fact, intending to beat the West at its own game, they adopted Western culture, promoted Western-style values, and down played their interests in the traditional societies. Their proximity to Europe, and to the technological sources of Western powers, facilitated the achievement of their goals. As mentioned, during the early decades of this century, the Tajiks occupied a vast area in present-day Central Asia from the Chirchik River in the north to the Panj River in the south. In the west, their territory extended from Charju, in present-day Turkmenistan, to the Wakhan Corridor in northeastern Afghanistan. The population of the western territories of the region, however, was not exclusively Tajik. Large pockets of Uzbek tribes were interspersed there, controlling the economies of the area. Similarly, decisions regarding whether the socio-economic and the political policies of the region should be guided by traditional ways or by the adoption of Western values were also entirely in the hands of the chiefs of these tribes. The members of the tribes were not a part of the population proper yet, but they had the potential of disrupting the harmony that had existed for centuries; they would put an end to the old order. In fact, they threatened, and continue to threaten, the exclusively Tajik settlements in the Ferghana Valley, in the Qarategin highlands, and in the Darvaz and Kulab regions. The most vulnerable regions, besides northern Zarafshan, were Surkhan Dariya, Qashqa Dariya, and Hissar-i Shadman. As mentioned earlier, some Tajik intellectuals tried to stem the tide of westernization by gravitating to Islamic traditions. But, in spite of the support of the Amir and the Muslim clergy, they were not able to contain the zeal of the reformers. At the end, the reformers, whose ranks consisted of ethnic Turks from Central Asia, Turkish POWs who did not wish to return to their homeland of Turkey, and Tajik intellectuals returning from Istanbul, gained the upper hand. Before long, the Amir of Bukhara, the tradition of kingship with which the Tajiks were familiar, and with the support of which they had prospered, disappeared from Central Asia. The Tajiki language, the official language of the Emirate, was displaced by Uzbeki. As discussed above, as a first step, the Soviets created two distinct administrative entities in Central Asia: the Autonomous Soviet Socialist Republic of Turkistan within the Russian Federation and the People's Republic of Bukhara, a transitional kingdom dependent on Russia militarily, economically, and politically. The Tajiks of the north--as opposed to those of Afghanistan--were divided evenly between these two entities. Since the leadership of both republics consisted of either Turks, or of Soviets sympathetic to the Turkish cause, the well-being of the Tajiks as a people was adversely affected. Aided by their intellectuals and notables, the Turkish tribes gradually moved into the cities and villages and displaced the Tajiks. The latter were forced to either renounce their Tajik ethnicity and identify themselves as Turks, or migrate away from their traditional centers of culture: Samarqand, Bukhara, and Khujand. The Pan-Islamic movement, in which the Turks had a large share, gradually gave way to Pan-Turkism. This to the extent that the inhabitants of the Soviet Socialist Republic of Turkistan, against all Soviet dicta, considered Turkistan to be the "Land of the Turks." Consequently, even though, over the centuries, the Tajiks' ancient heritage had nurtured the ancestors of the Turks, the latter were not only unsympathetic to the cause of the Tajiks, but antagonistic to any promotion of either the Tajiki language, or Tajik cultural traditions. To this end, and to impart meaning to the designation of their Republic, the Republic of Turkistan, under various pretenses, they burned the libraries, placed Islamic scholars in concentration camps, and closed or destroyed the Tajiks' schools and mosques. Many Tajiks were forced to abandon their ancient heritage and embrace the Turkish language and the tribal culture of the Turks. As a result of the national-administrative divisions, Bukhara and Sughd proper were assigned to Uzbekistan, as were the towns and villages of the Ferghana Valley and Khujand. This unfair division deprived the Tajiks of their two major centers of culture, Bukhara and Samarqand. The latter, the socio-economic and political hub of ancient Sughdiana, became the capital of the newly-formed republic of Uzbekistan.112 Along with Samarqand, its art center that took pride in innovations in music and performing arts, the agricultural complex centered on the Zarafshan River, and the trade center that drew on the boundless resources of the Silk Road, passed into Uzbek hands. The 1924 national-administrative divisions effectively ended the process of Turkification. Each "nation"--Uzbekistan, Kyrgyzstan, and Turkmenistan--became involved in its own internal and regional problems, leaving the national and international affairs to the Center in Moscow. The pressure on the Tajiks, however, was not decreased; in fact, a new process placed even more stringent controls on their actions and far more restrictions on their educational, cultural, and economic interests. This process, known as Uzbekization--a direct descendant of Turkification--went into effect immediately after the inclusion of Tajikistan as an autonomous republic within Uzbekistan SRR. Uzbekization would not have happened, or would not have been carried out with the intensity it was carried out, if the Tajiks had not been placed in receivership in Uzbekistan SSR. The intentions, of course, were good. The Center hoped that within a few years the more advanced Uzbeks would help their Tajik brothers achieve the degree of social and political consciousness required for achieving and, indeed, maintaining an independent nation of their own. But the Uzbeks viewed the situation differently. They felt that Uzbekistan belonged to the Uzbeks; those who could not or would not identify themselves as Uzbek were asked to leave the republic. Thus, in spite of the fact that the very formation of the republic, especially its ethnic boundaries, was haphazard and incomplete, the Uzbeks forced their will on the nationalities that wished to remain in their republic. What was the cause of the almost meteoric rise of the Turks, in general, and of the Uzbeks, in particular? Masov argues that the Uzbeks manipulated the 1926 census so that its results emerged as almost the opposite of the results achieved in all previous censuses. Those censuses had shown large Tajik populations and negligible Uzbek numbers. Archival materials, too, support Masov's assumption and arguments.117 But what Masov does not bring into the equation and which, to a large degree, is outside the purview of archival documents, is the drastic social upheaval that followed the forced settlement of the Turkish tribes. The matter, of course, cannot be settled easily. There is no question, however, that many Tajiks adopted Uzbek identity to hold on to their lucrative jobs and to be able to prepare for the future of their children. Many declared themselves Uzbek just to enter the job market and exploit it, while many others were forced to leave Uzbekistan for Afghanistan and Iran. Addition of these groups automatically raised the Uzbek population at the expense of the Tajiks. Then, there is the inflow of large numbers of thus-far unregistered tribal Uzbeks who entered the census for the first time. These large numbers, too, must be added to the Uzbek population. But, in spite of all these factors, it is hard to imagine that the increase could have reached beyond parity, especially since no calamity had befallen the Tajiks and that they have a proverbially high birth rate. Upon ascending the throne, the early Manghit rulers faced a major problem--legitimacy. Born in the dar al-harb, they were not recognized by the populace as the true successors of the Islamic caliphs. Born to the house of Jochi, the supposedly illegitimate son of Chingiz Khan, they were also not readily accepted by the majority of the population of the steppe. Nevertheless, the Manghits forced their will on the Bukharans and legitimized their rule by marrying into the family of a "Chingizid Sayyid," whatever that meant. This ploy, however, covered the theoretical aspect of the problem. The practical aspect, i.e., the struggle for power with Uzbek tribes other than the Manghits, continued. Between 1750 and 1850, the Manghit rulers accommodated the chiefs of the Ils and Uluses, especially the Kinegas and Saray. On every occasion, the chiefs were awarded appanages, gifts, honors, and other privileges. Using the Amirs' largesse, the chieftains became wealthy. In time, they also became authoritative, unheeding, and unruly. This, to the extent that in the 1850's the amirs were forced to reassess their policy of contributing to the wealth and prestige of the chief of the Uzbek tribes other than the Manghits. In an attempt at centralization, Amir Nasrullah divested the chieftains of their customary share of man power. Then, using his newly installed army, he divested most of them of their wealth and authority as well. Needless to say that, in the process, he added much to the wealth of his own treasury and the strength of his own army. Creation of a central administration, formation of a standing army, and expansion of urbanization--required by the centralization process--are anathema to the survival of a kingdom that lives on taxes contributed by the peasantry. Less people on the fields spells out less revenue, while more people in the cities require a more solid infrastructure, more agricultural products and, consequently, more agricultural output. Additionally, local squabbles assumed or, more appropriately, were given an international direction. Rather than Khiva, for instance, the Russian Empire stepped in to settle the differences between Bukhara and Quqand. Within two decades, the Manghits were reduced to tax-collecting agents of the Russian Empire in Central Asia, and two decades after that, they encountered the danger of extinction. Two international forces, Pan-Islamism and Pan-Turkism were intent on wiping out all lesser ideological and ethnic conflicts within the non-western world. Whether the genesis and rapid progress of these unholy forces had eastern or western roots will not be debated here. Suffice it to say, they made the Manghit Amirs, especially Alim Khan, attempt to take control of both. His rapprochement to the jadids and his assumption of the title of the Caliph of all Muslim Peoples, however, accelerated his fall to the forces of the Red Army. In Tajikistan, the Soviets established their identity on the suppression of the identities of all those within their jurisdiction. Using regionalism and ethnicity for political and economic gain, they emphasized ideology to propel their program forward. In the case of regionalism, as was shown, they used the north against the south and, in the process, exploited the mineral and agricultural resources of both respectively. As ardent Communists, the people of the republic worked harder to fill their quota before due dates. They were praised accordingly, of course, by receiving medals and other accolades. After the implementation of eleven five-year plans, Tajikistan no longer looked like what their aksakals remembered. Neither was it what the younger people, decades ago, had set forth to create. Both those Tajikistans had become substance of dreams. They existed in the myths, songs, and stories of one generation and in the ashes of the dreams of the other. Gradually, the RPCT, the major achievement of the Soviets in southern Tajikistan, resembled a shell created by movie-makers for a colossal production--useful for the film-maker, rubble for those who had to pick up after the production had ended. In 1992, the Tajiks rose against Soviet ideology, hoping to restore their identity. Regionalism and ethnicity blocked their progress. Frustrated, they dismantled the economic base of the Soviets only to find out that, in the process, they had ruined their own economic prosperity as well. Russia, that had nurtured them through the Manghit times, guided them through national-administrative divisions, propelled them into the modern times, and safeguarded their security during the 1992-93 hard times, returned, once again, to lend a helping hand. And that is where matters stand in 1997. Tajikistan has a dual identity. It is a westernized country with a substantial Islamic baggage, an Iranian nation with a relatively large Turkish population, and a mountainous territory that must subsist on agriculture. On its way to nationhood and a democratic state, Tajikistan must reconcile these differences, not by force, but by compromise. It must create harmony among its people irrespective of the regions from which they come, the ideologies they harbor and, most importantly, the ethnic groups to which they belong.